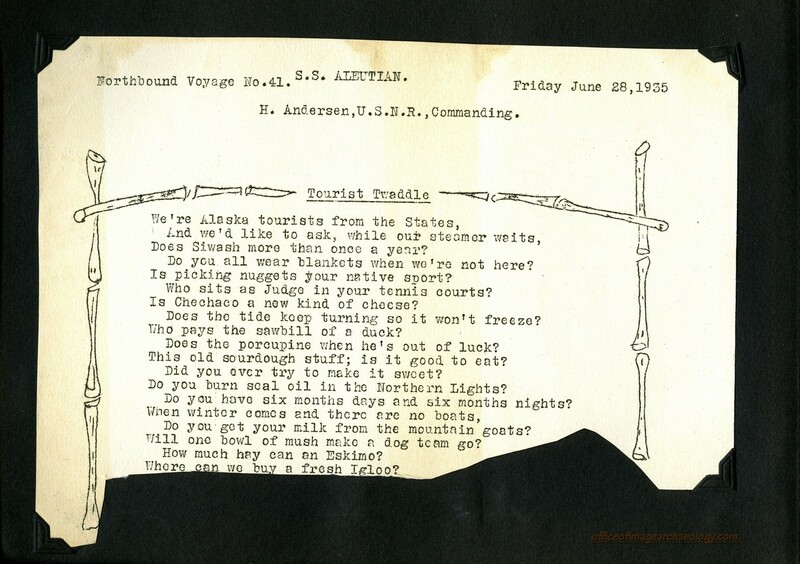 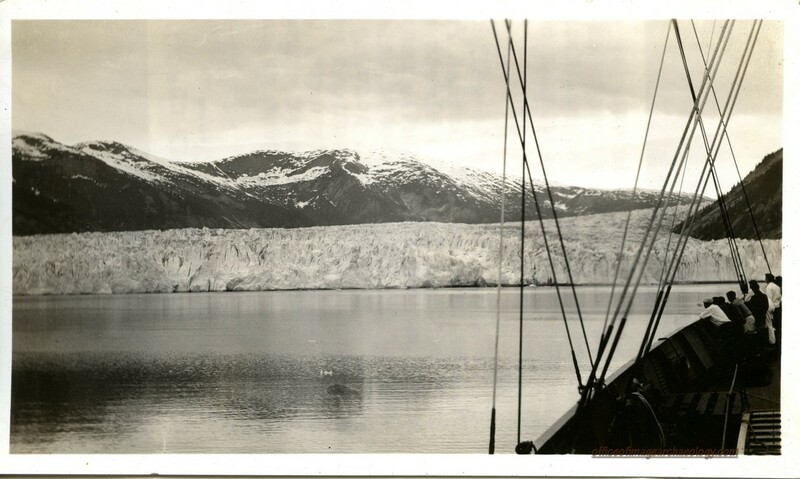 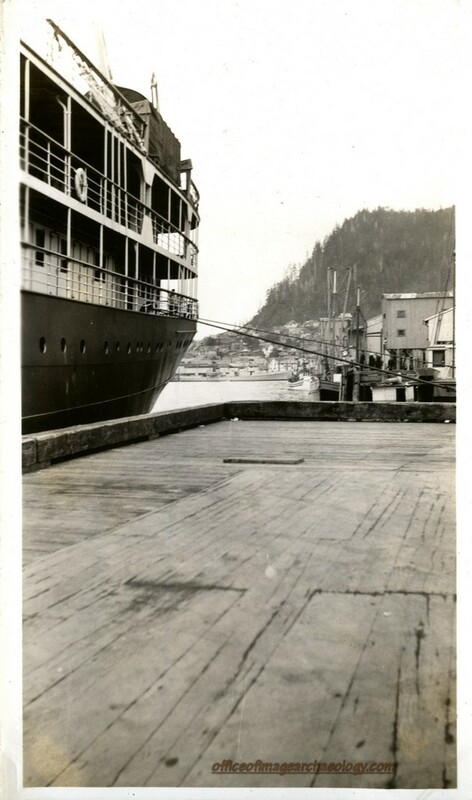 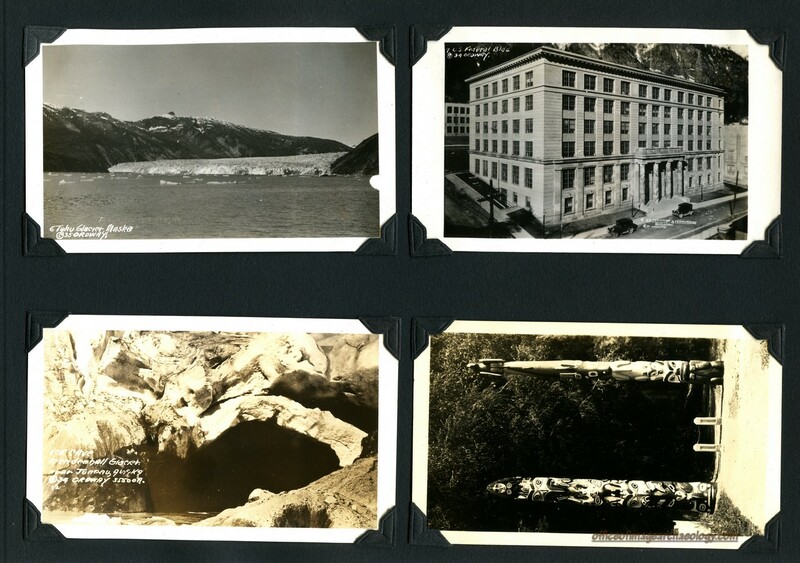 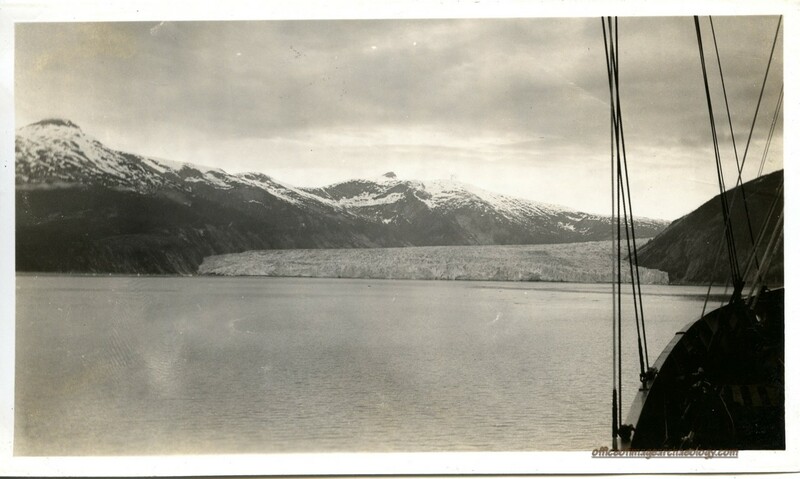 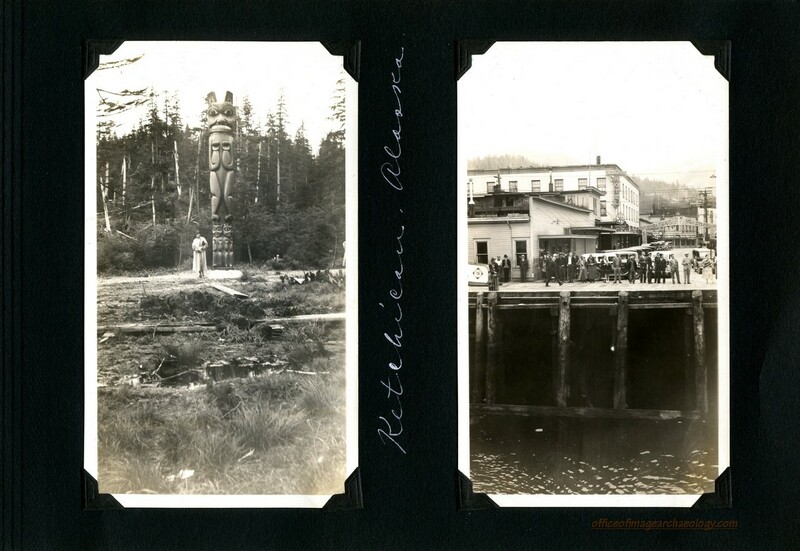 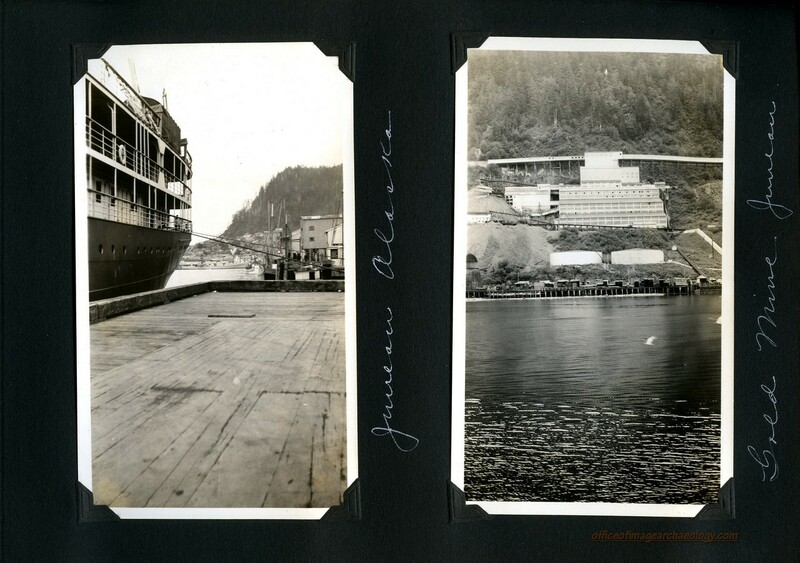 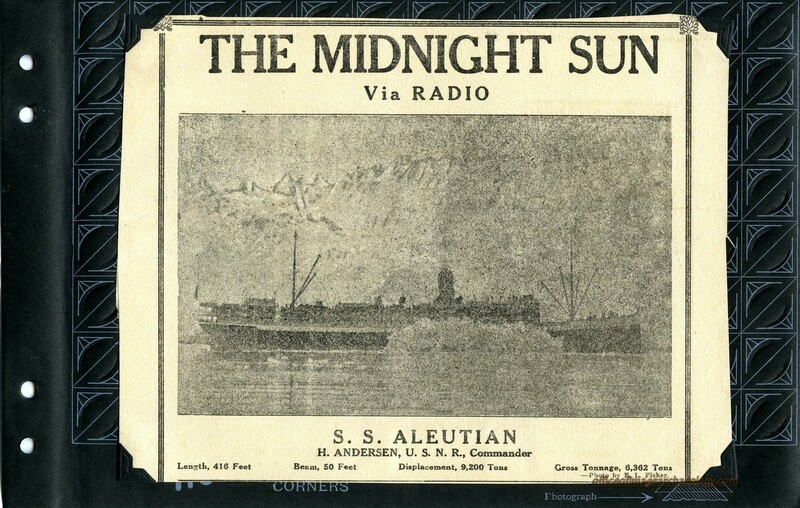 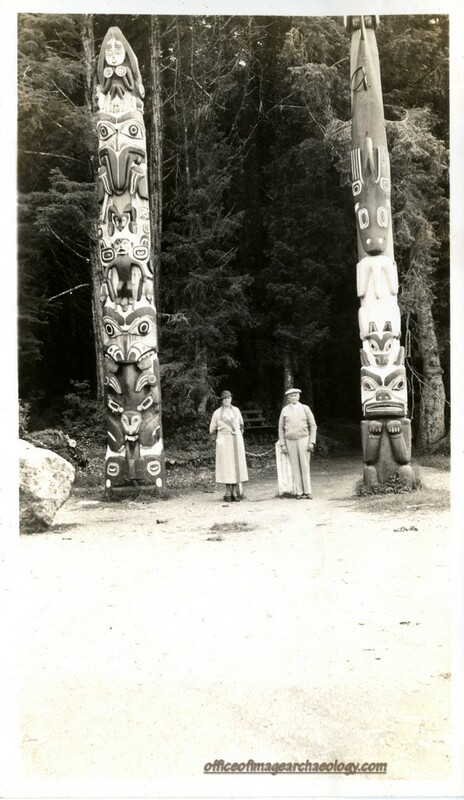 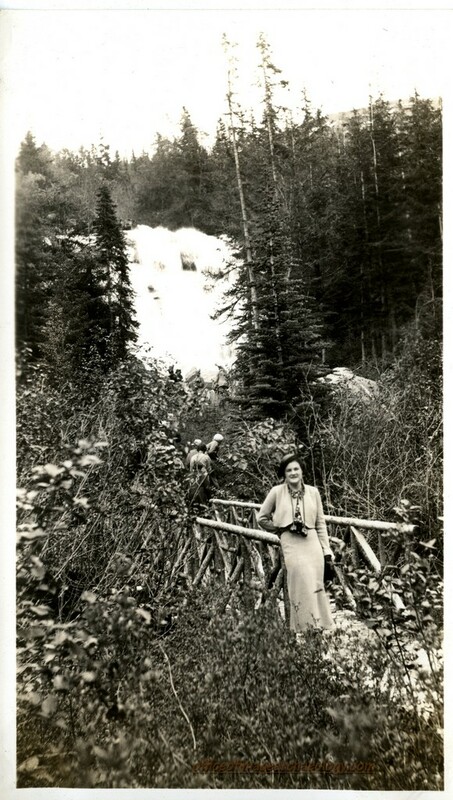 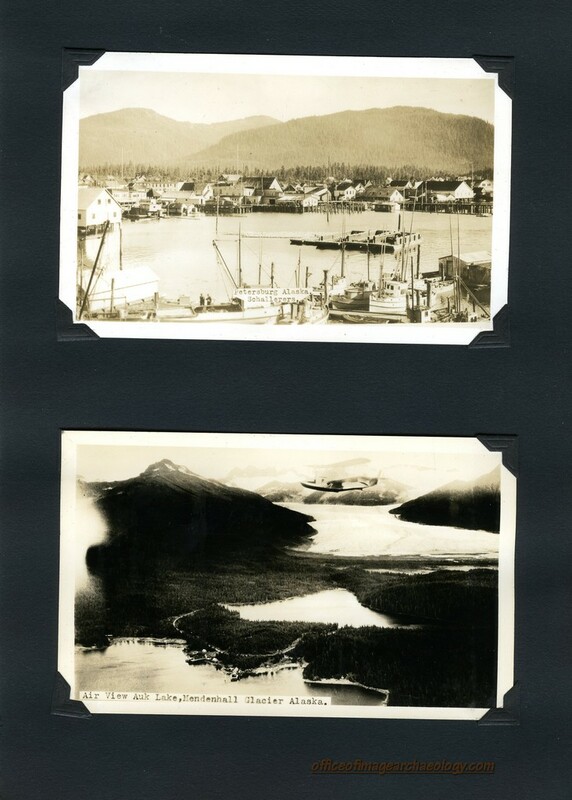 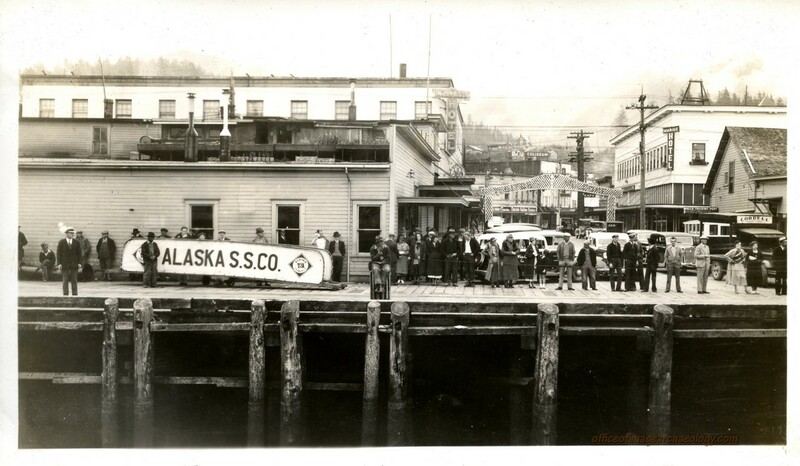 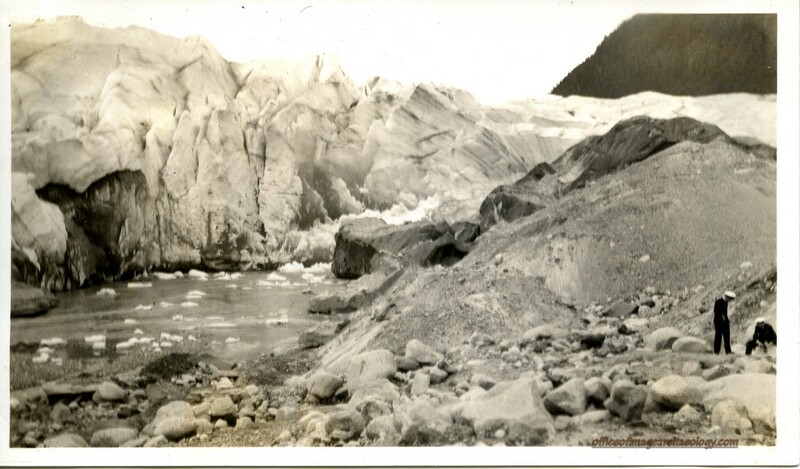 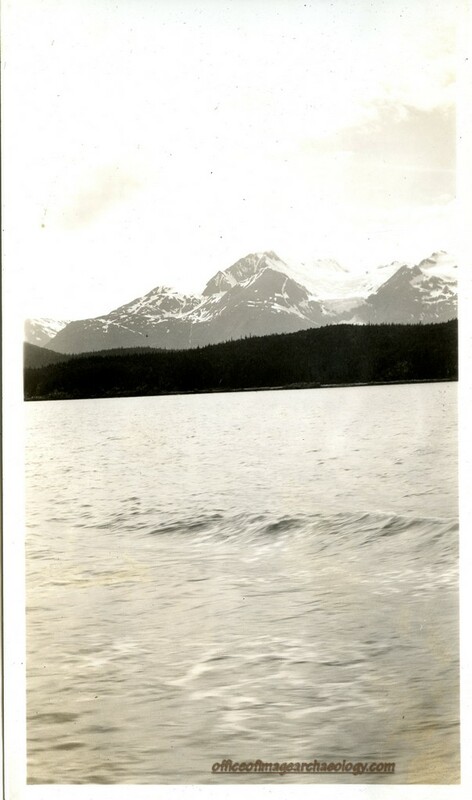 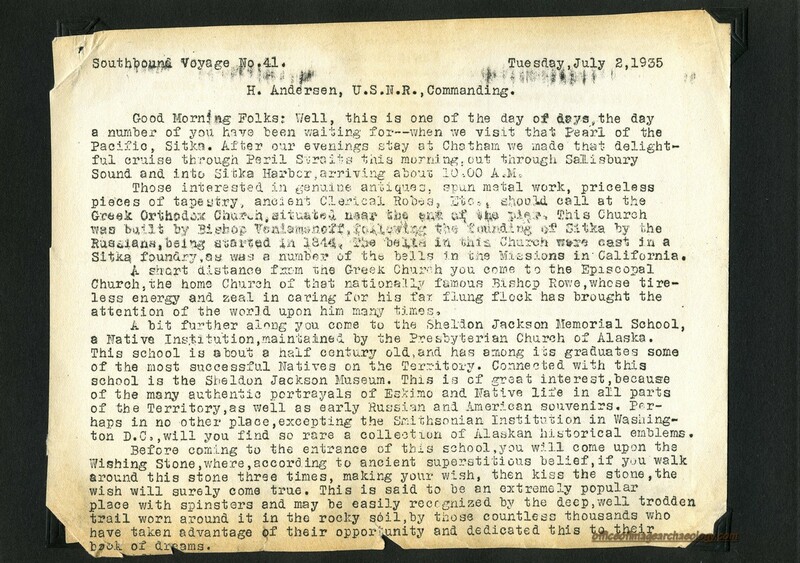 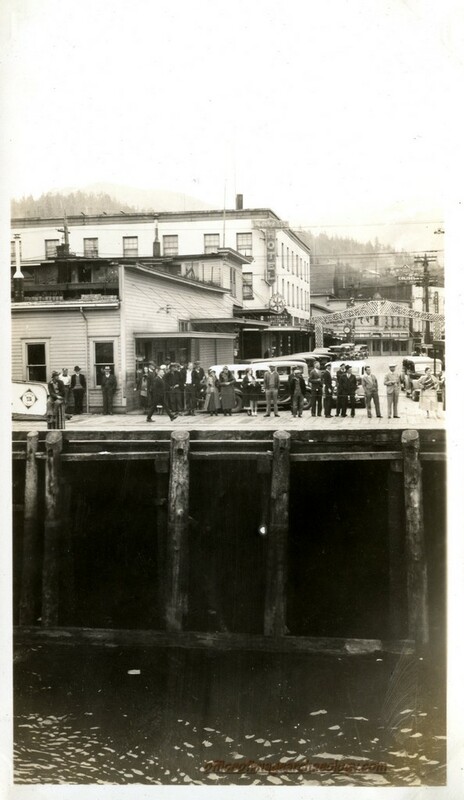 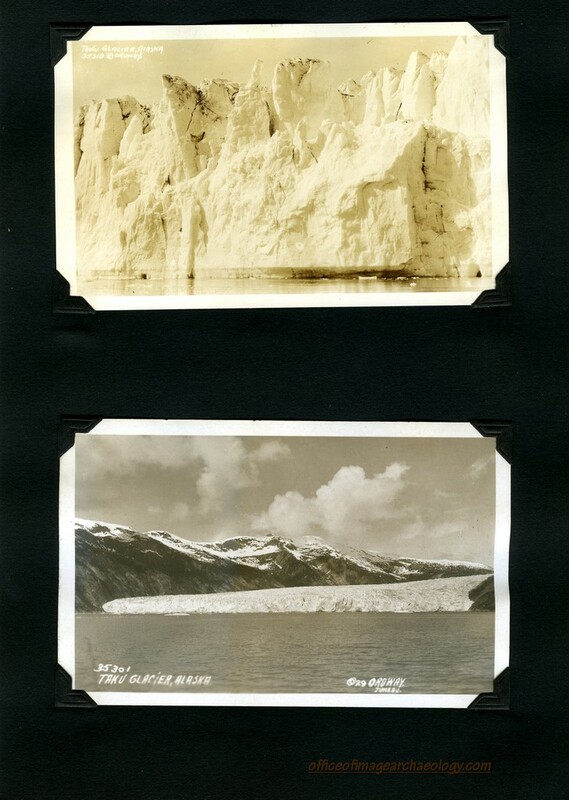 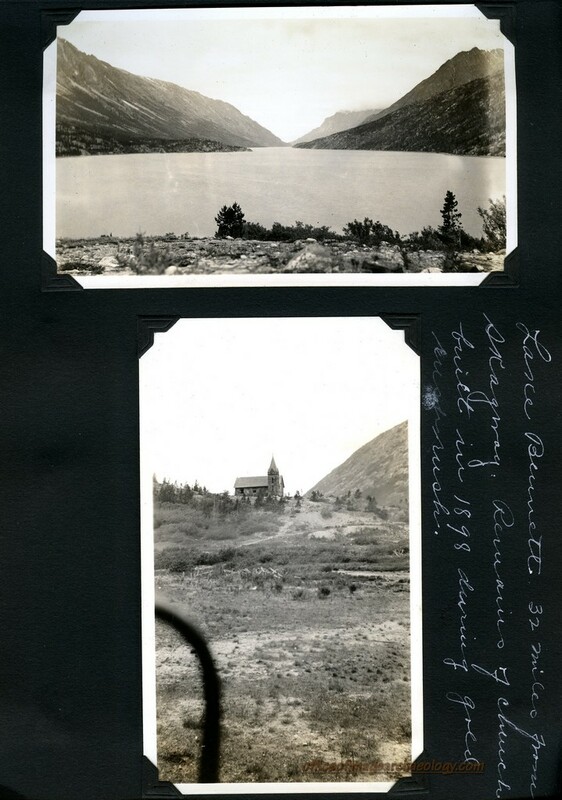 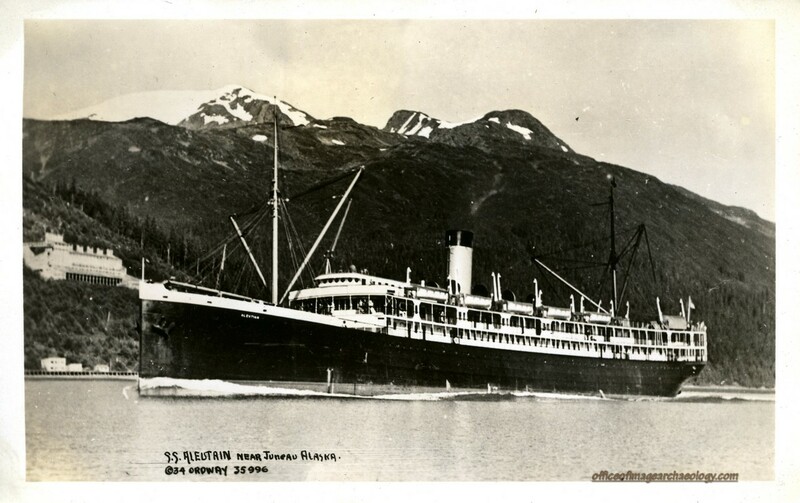 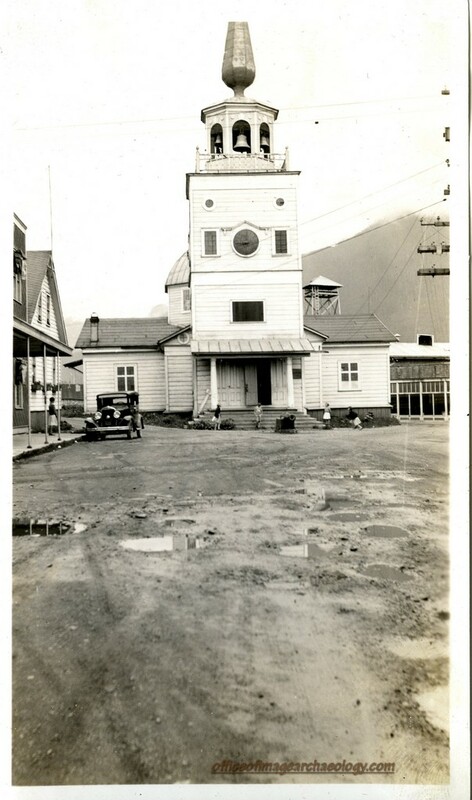 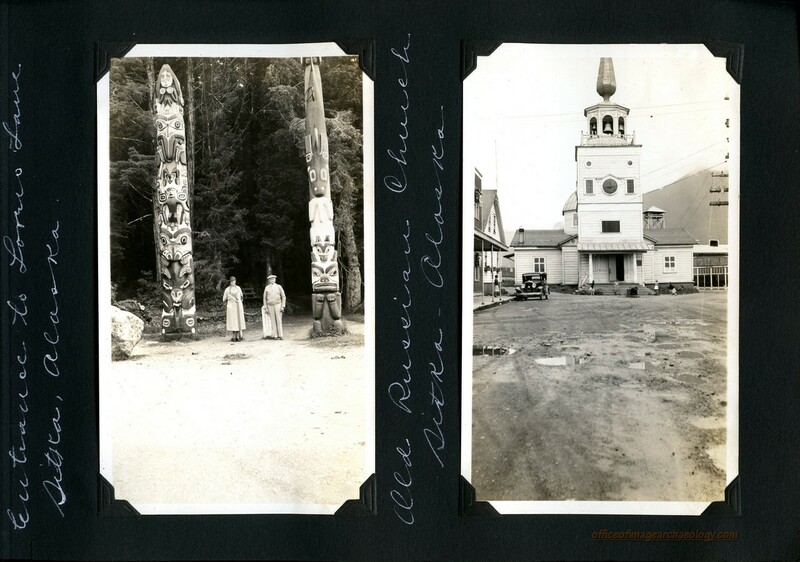 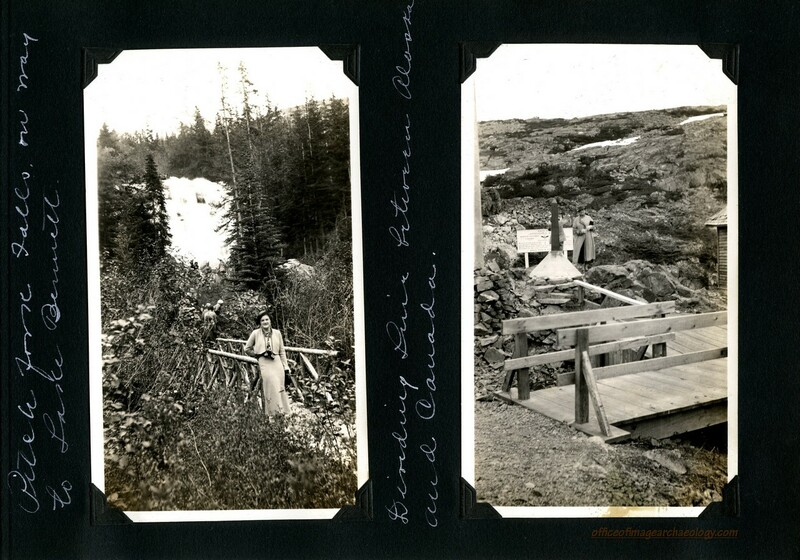 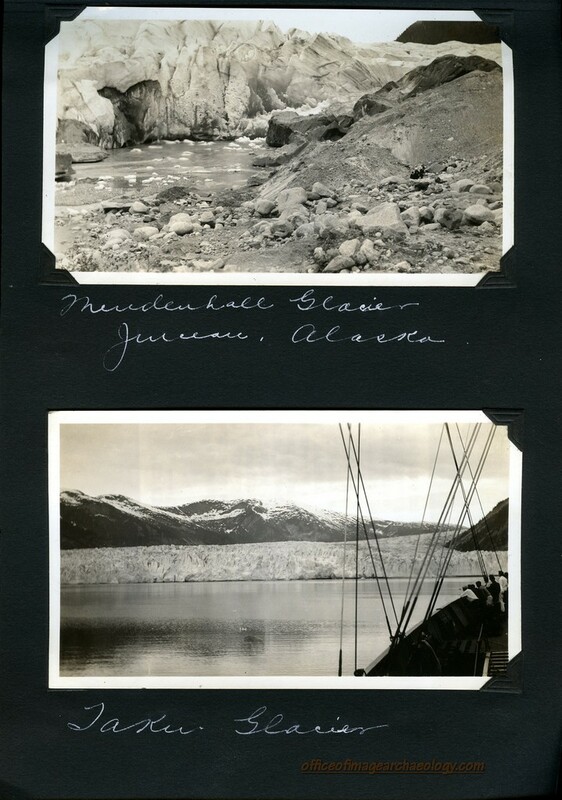 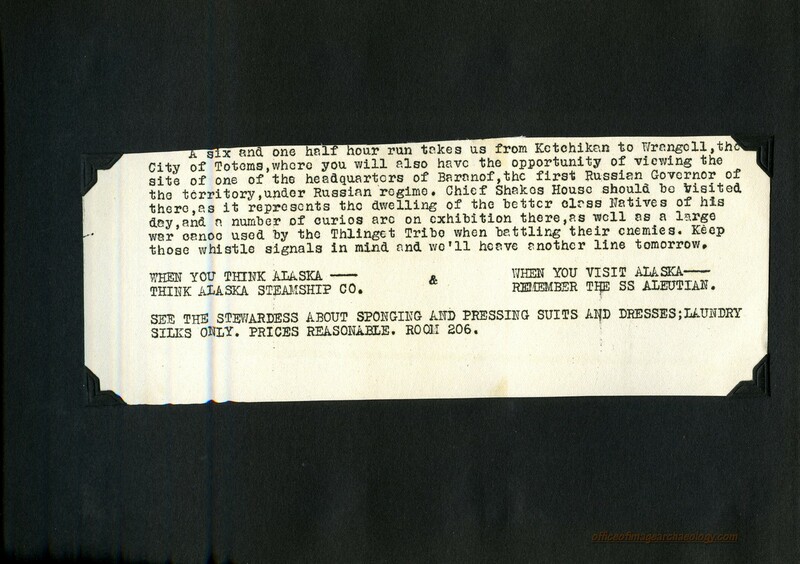 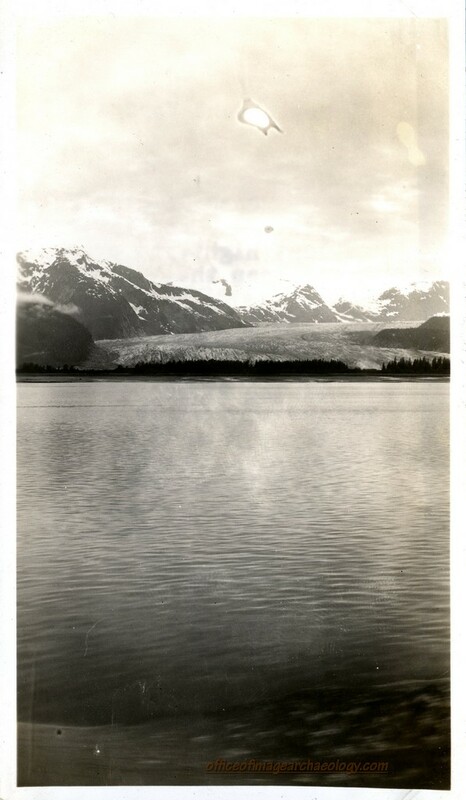 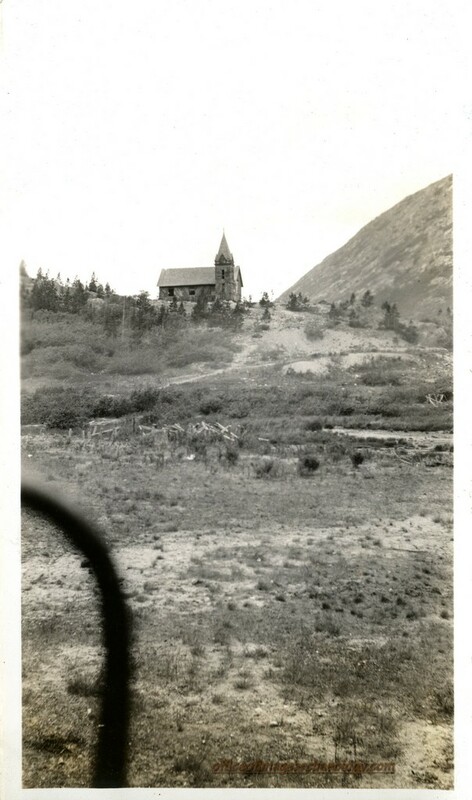 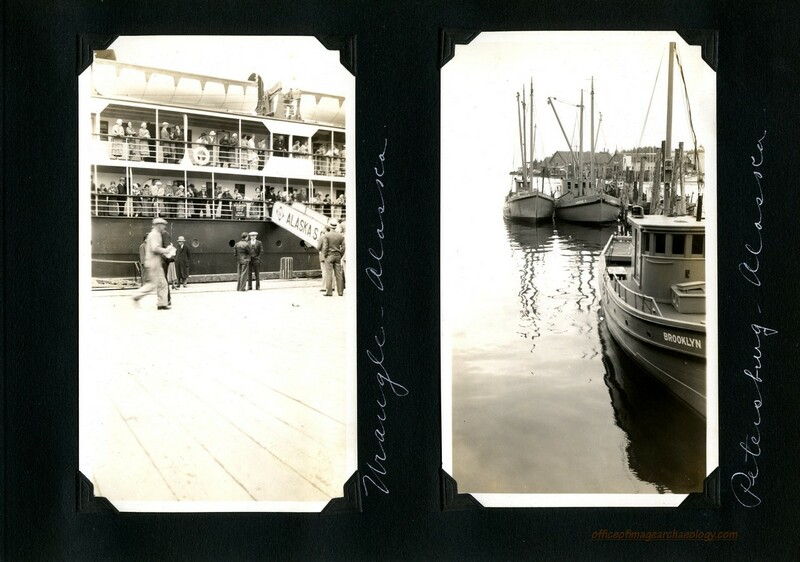 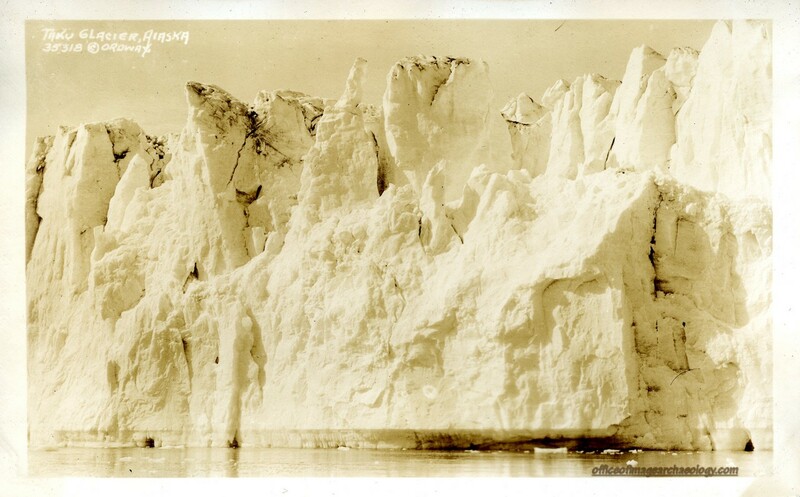 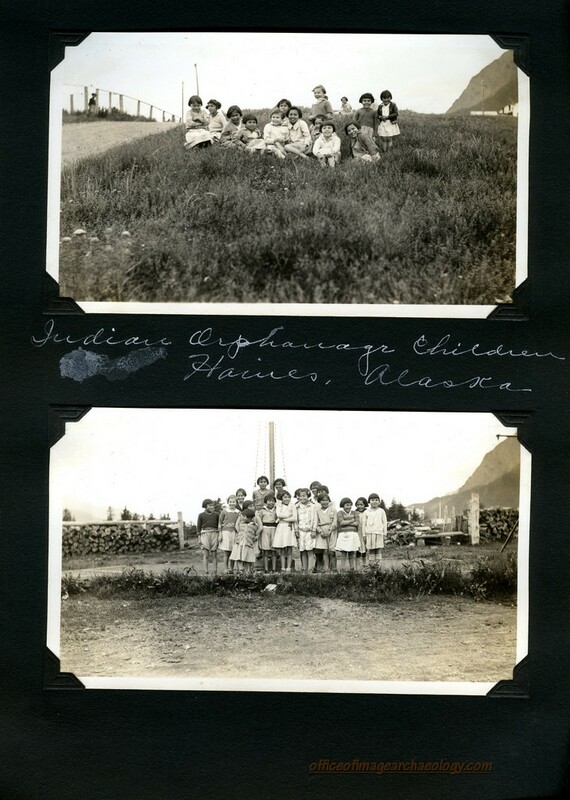 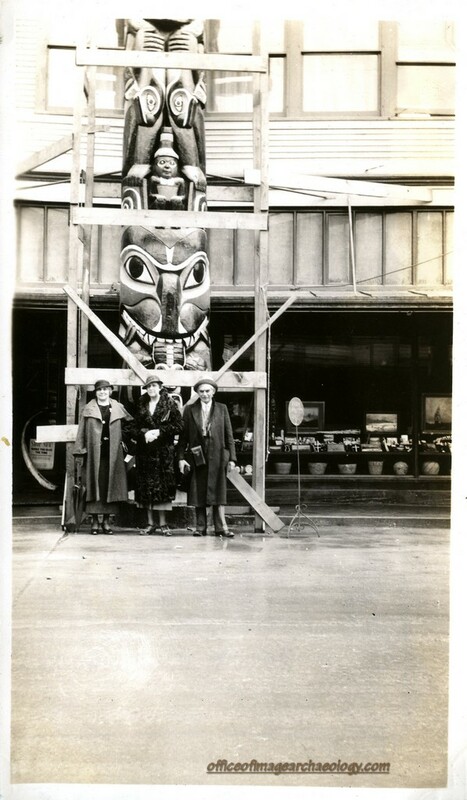 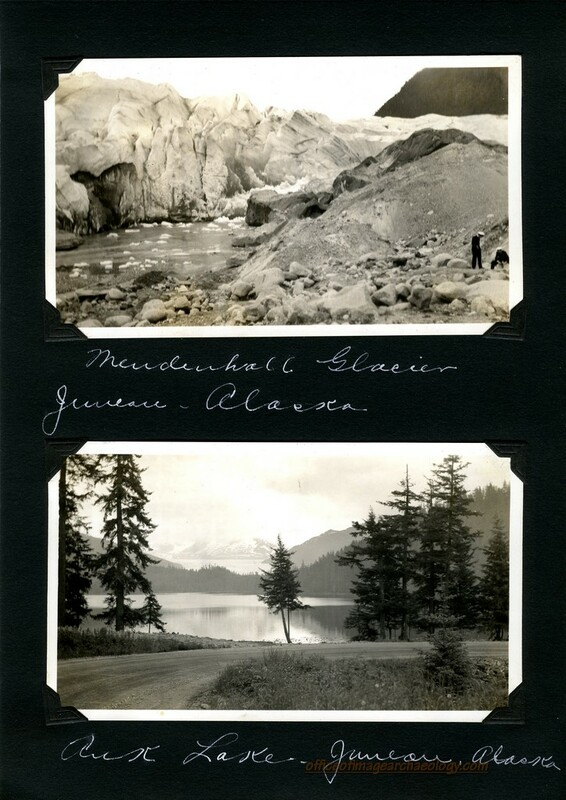 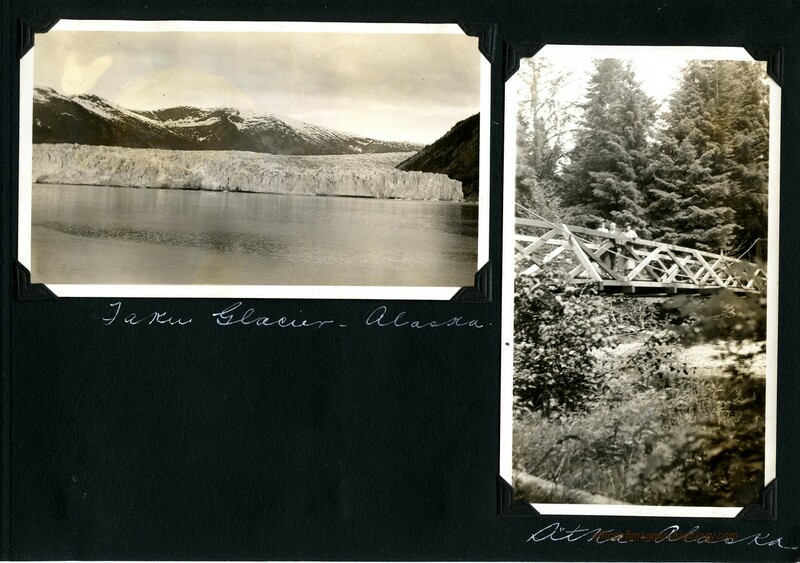 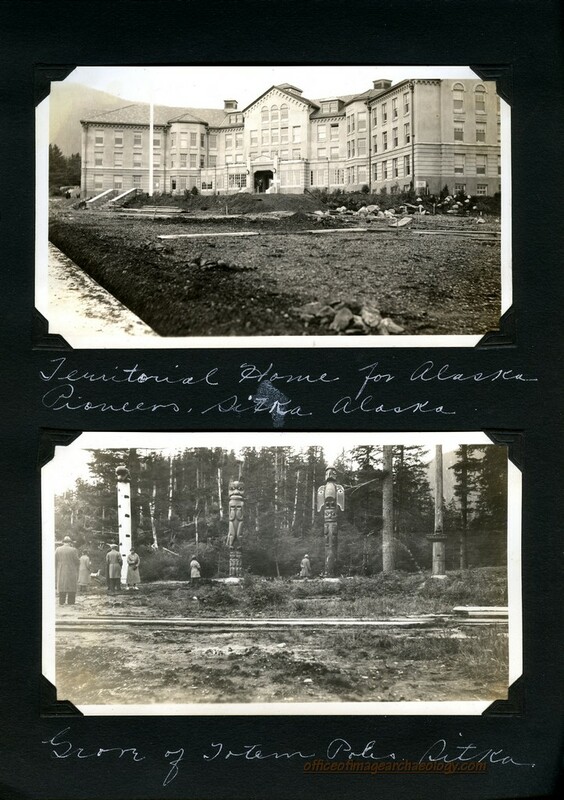 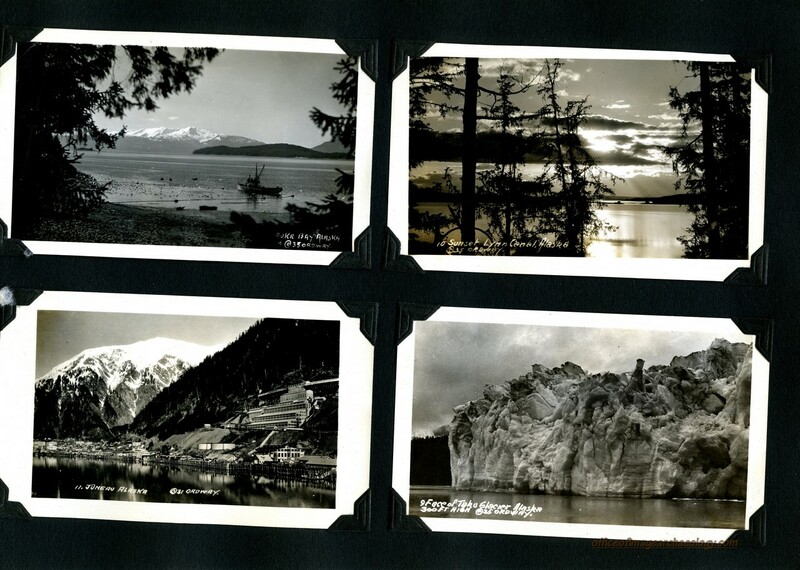 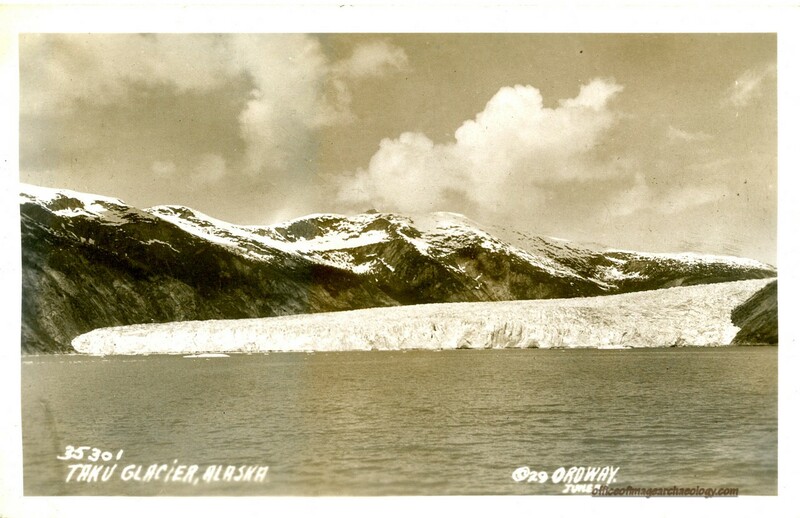 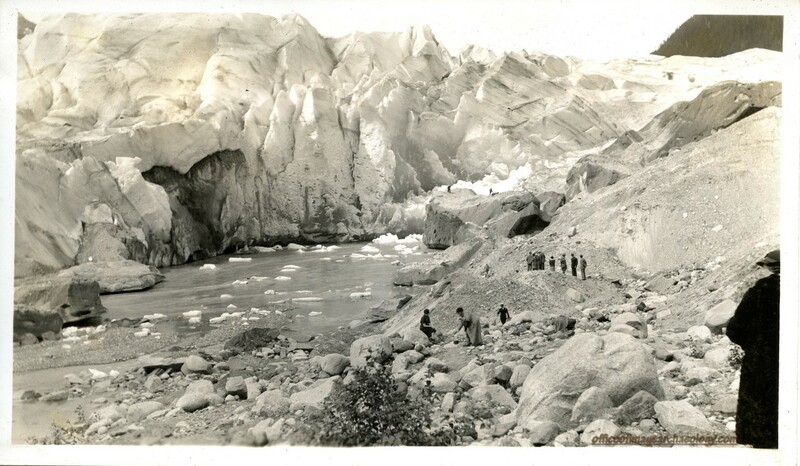 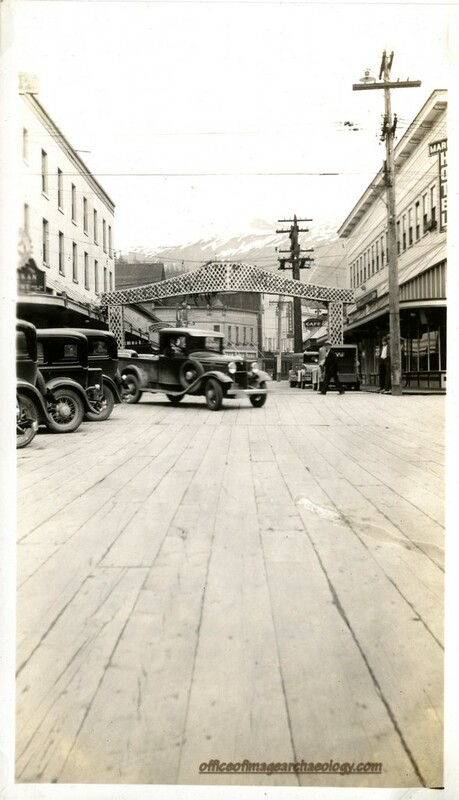 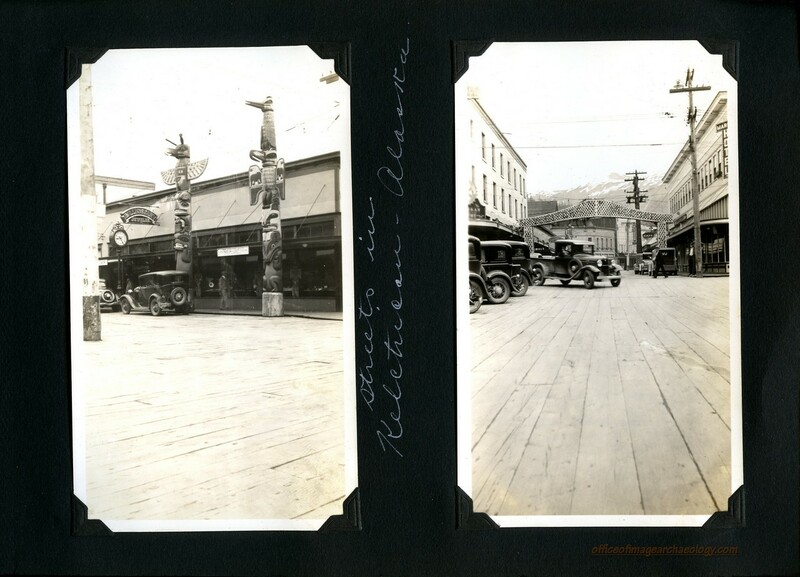 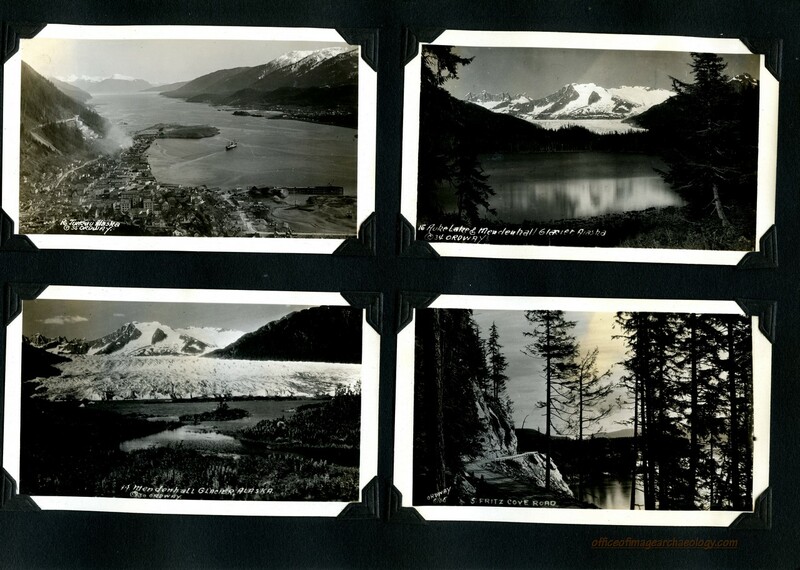 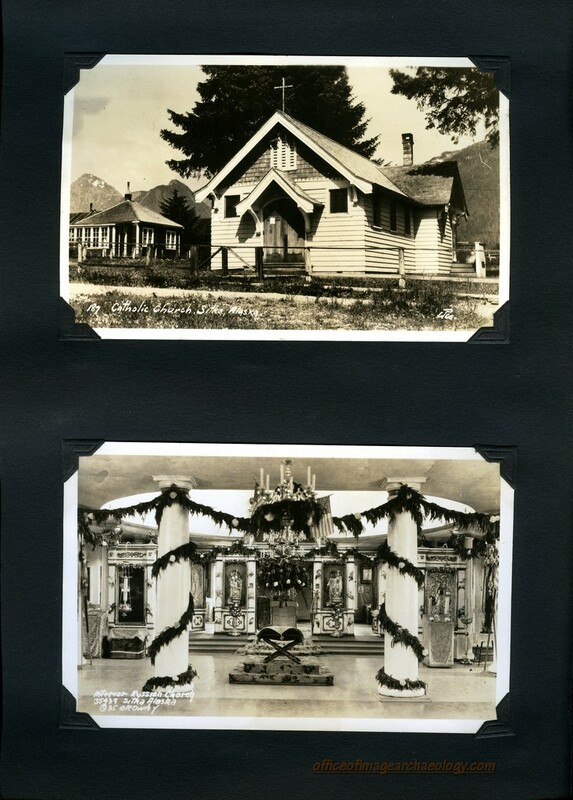 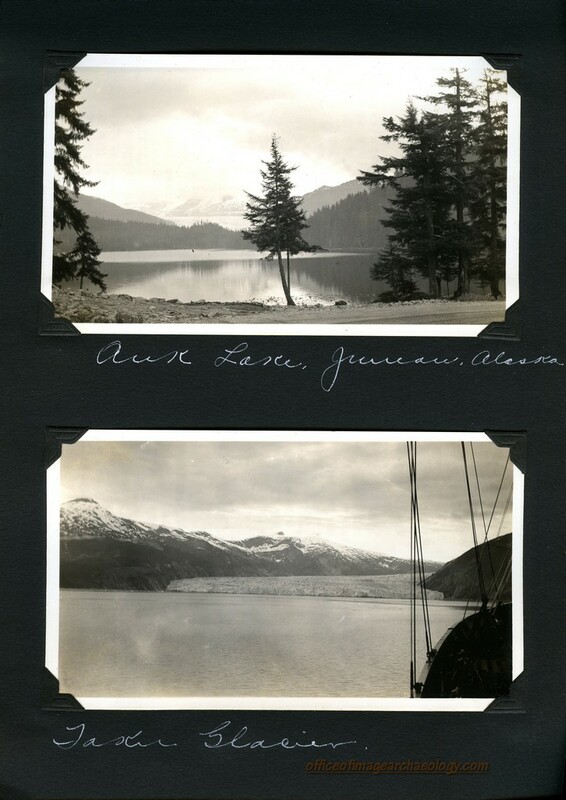 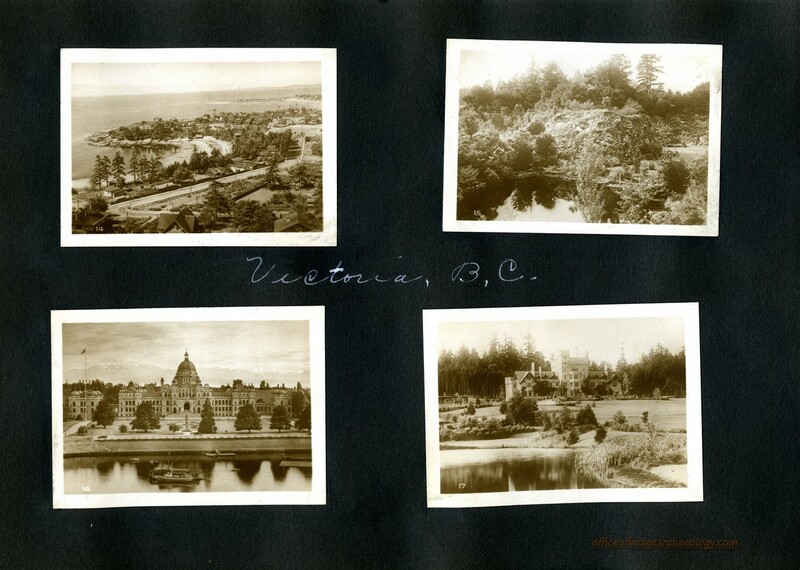 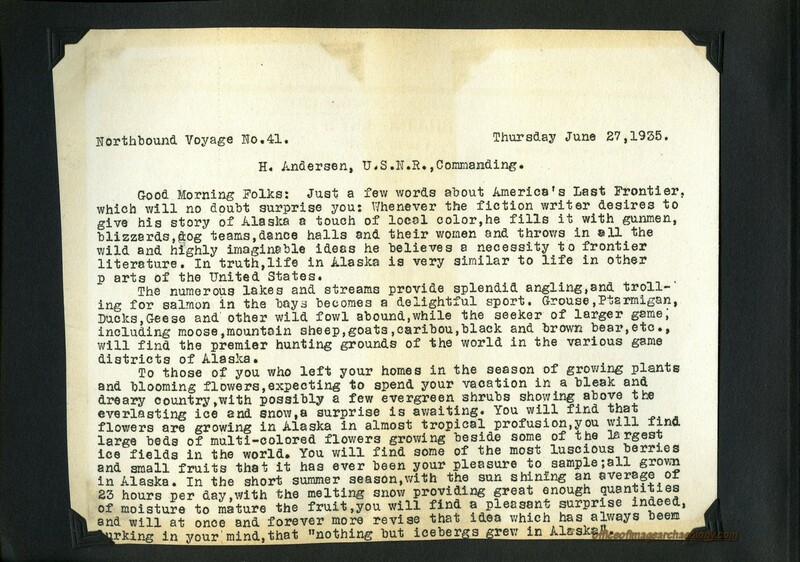 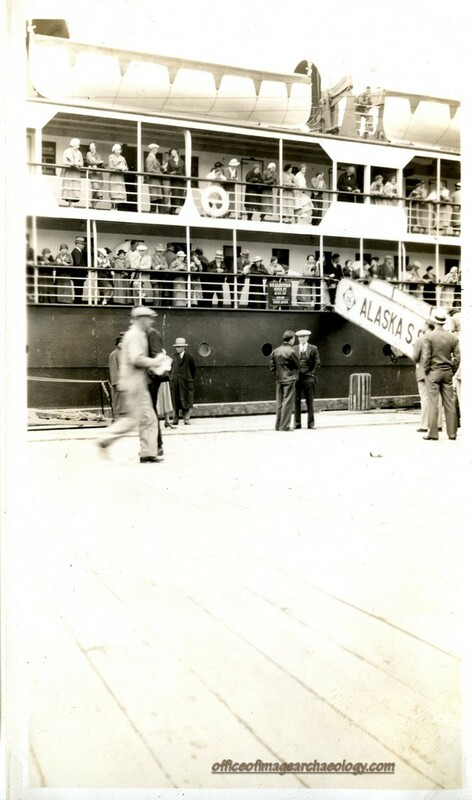 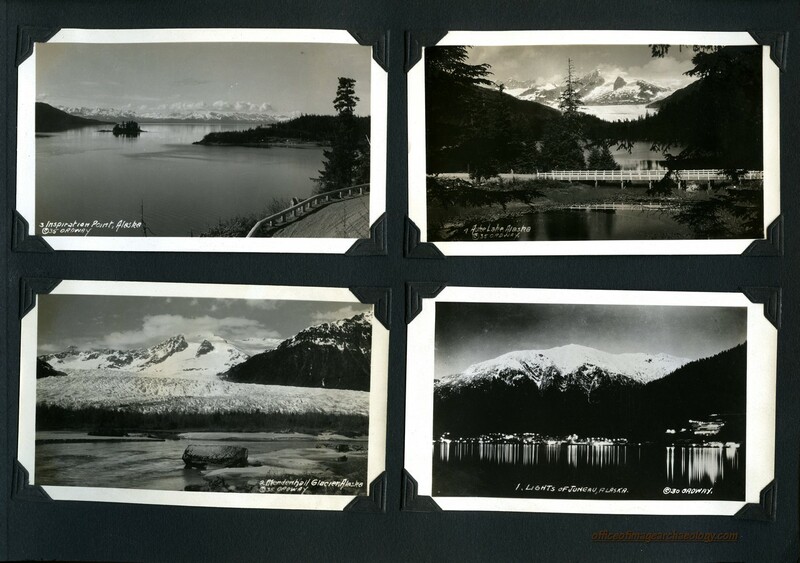 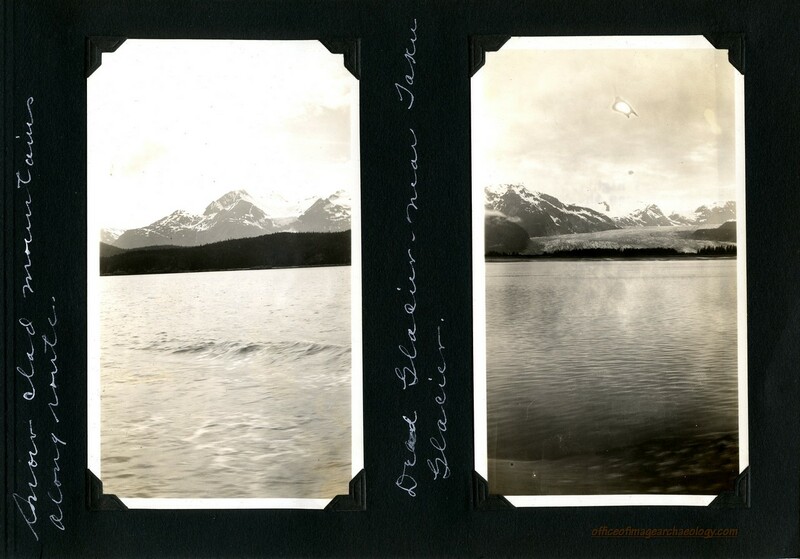 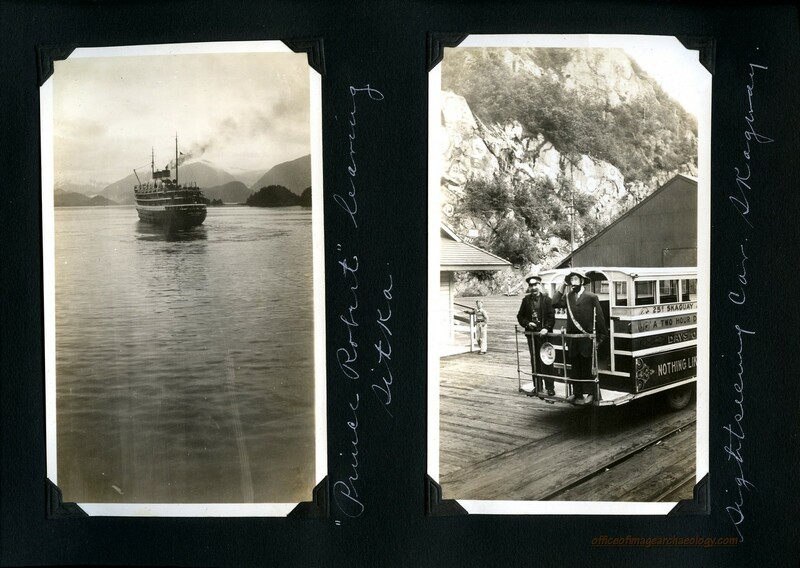 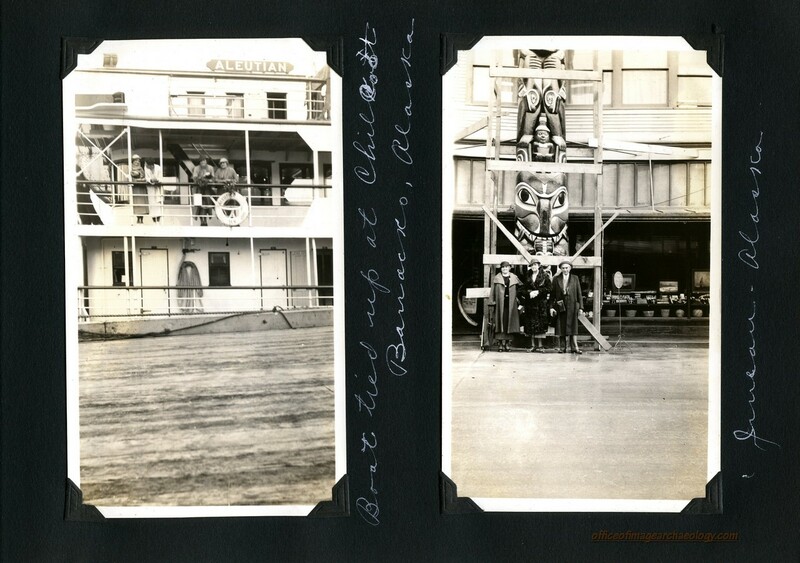 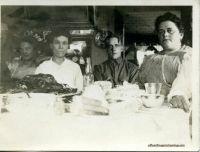 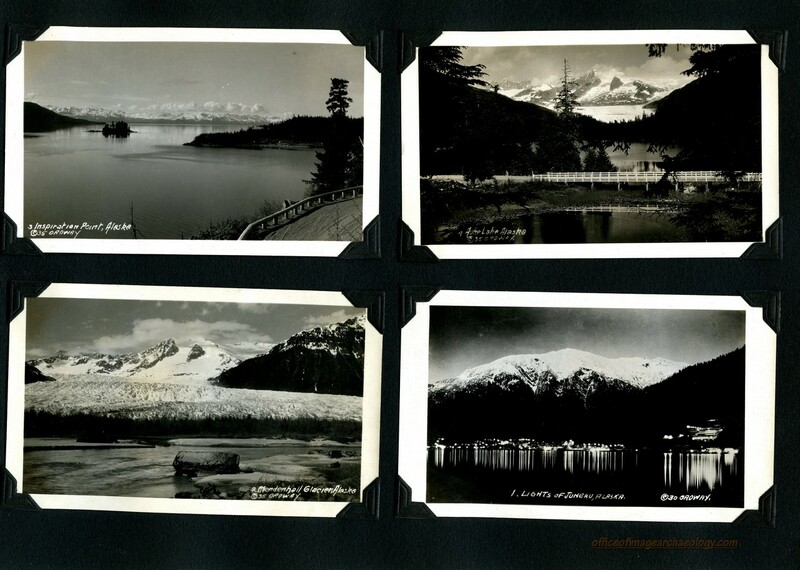 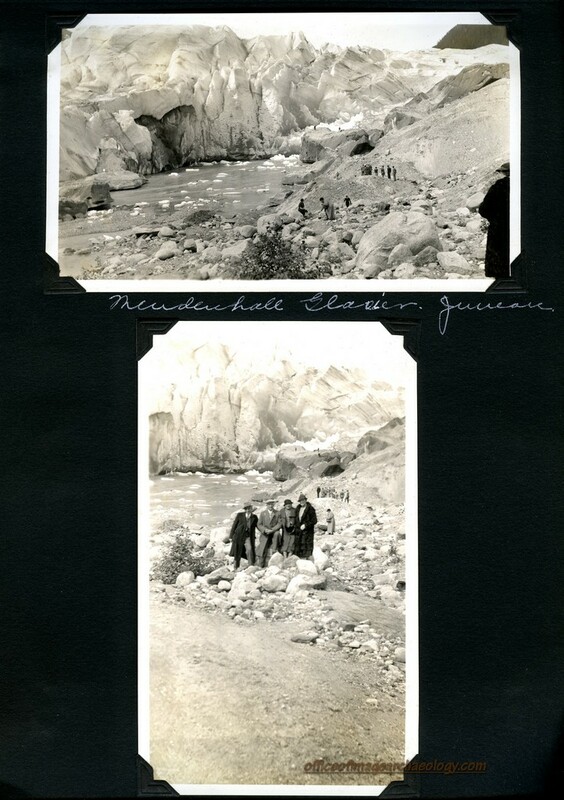 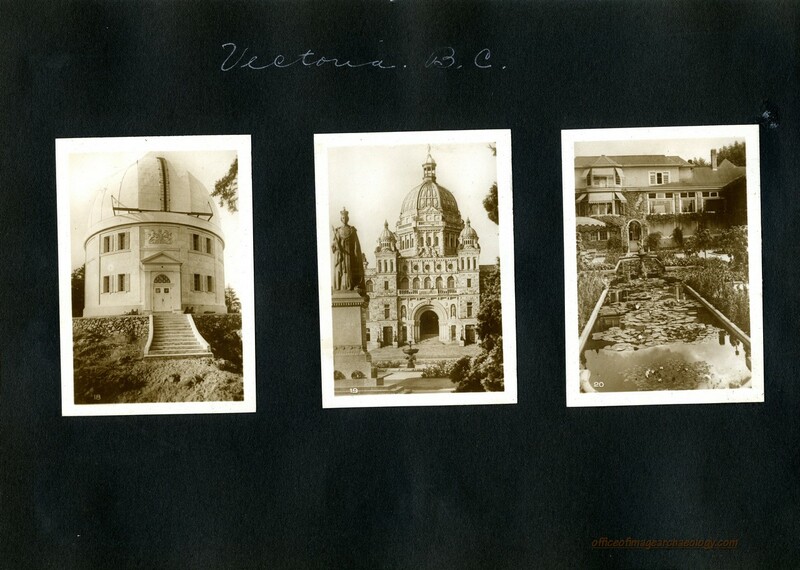 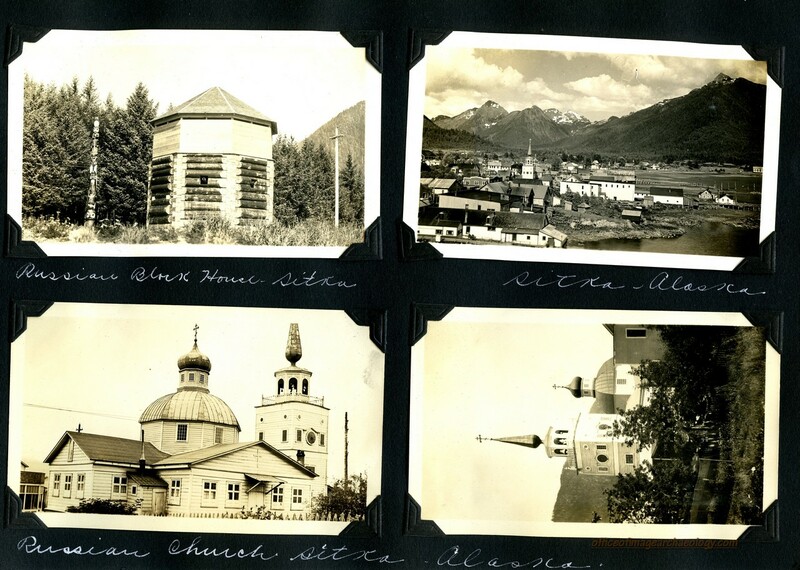 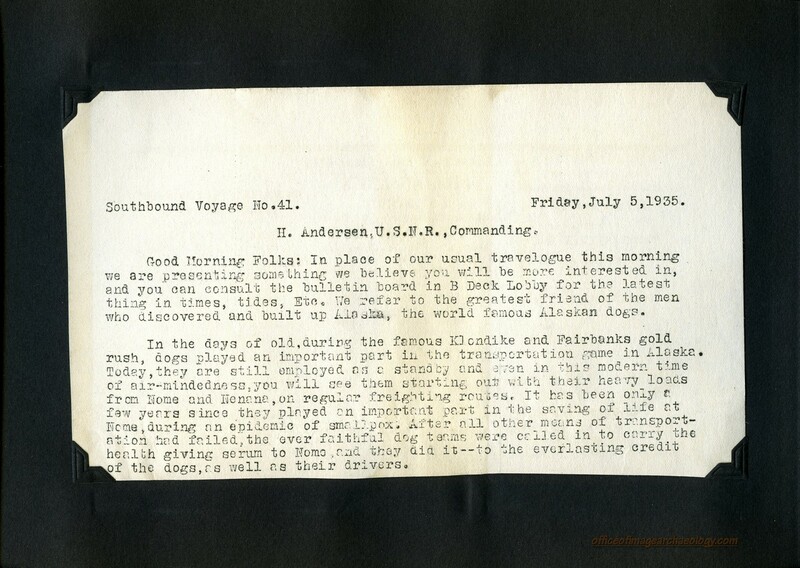 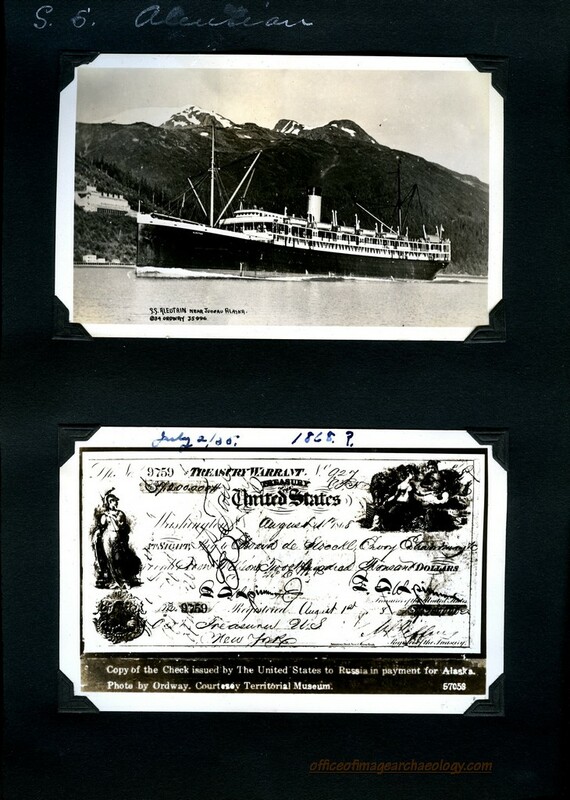 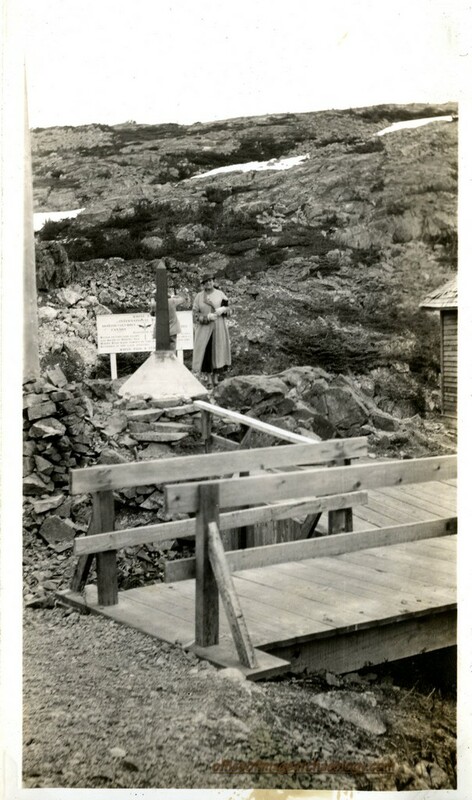 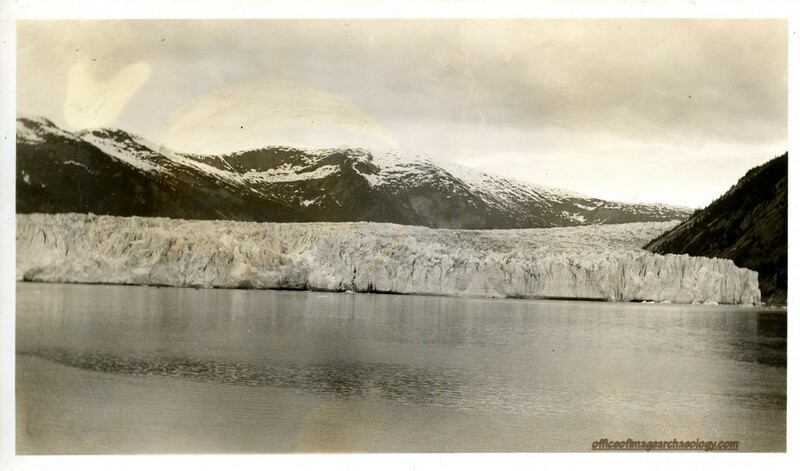 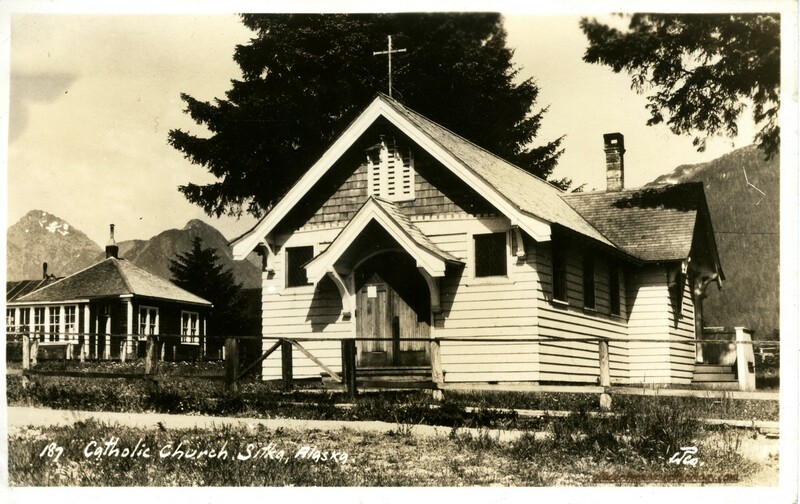 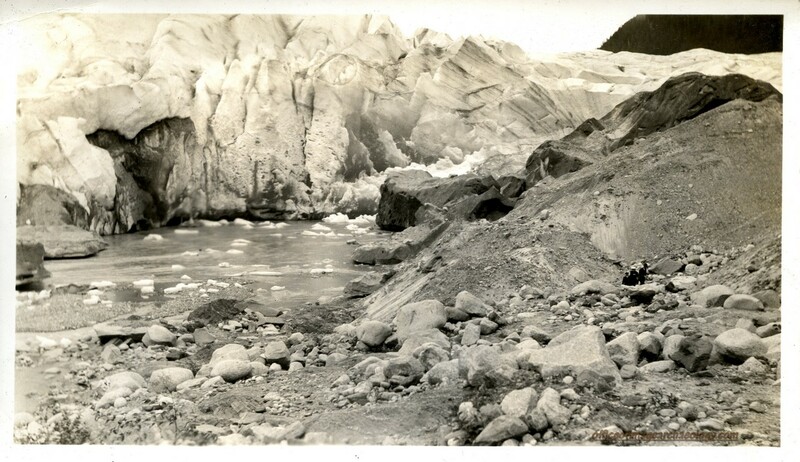 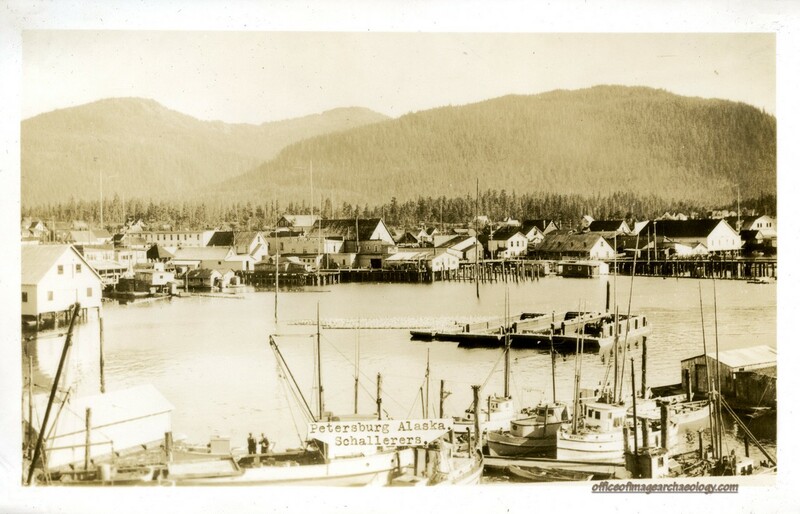 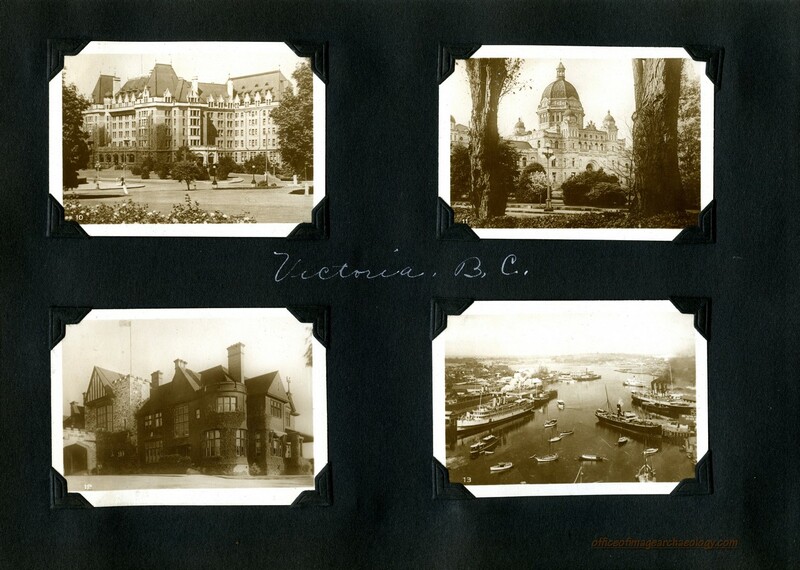 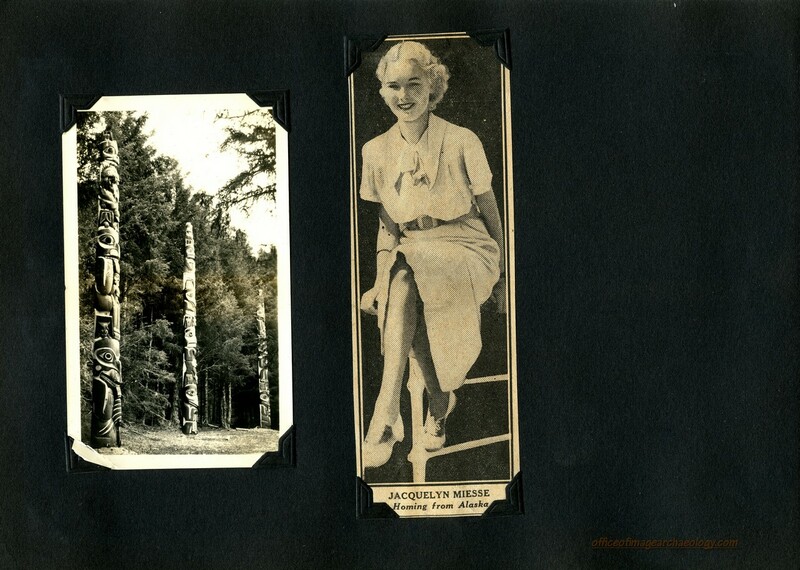 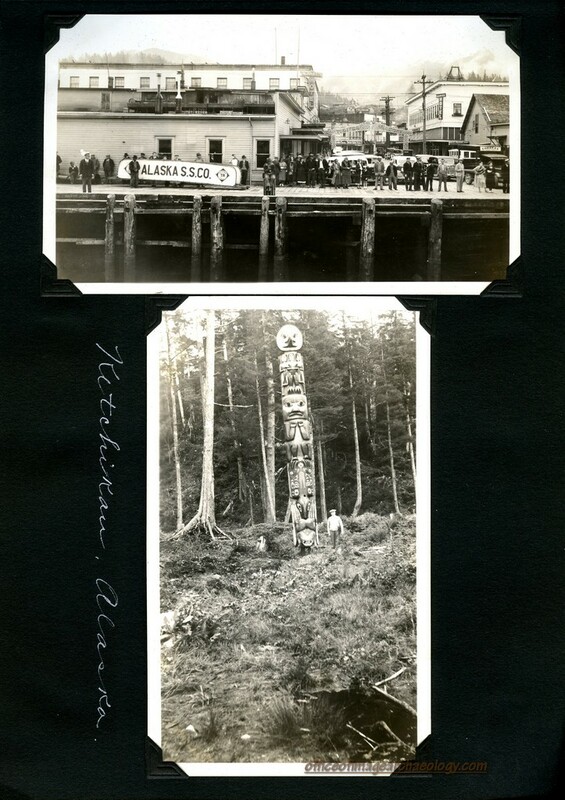 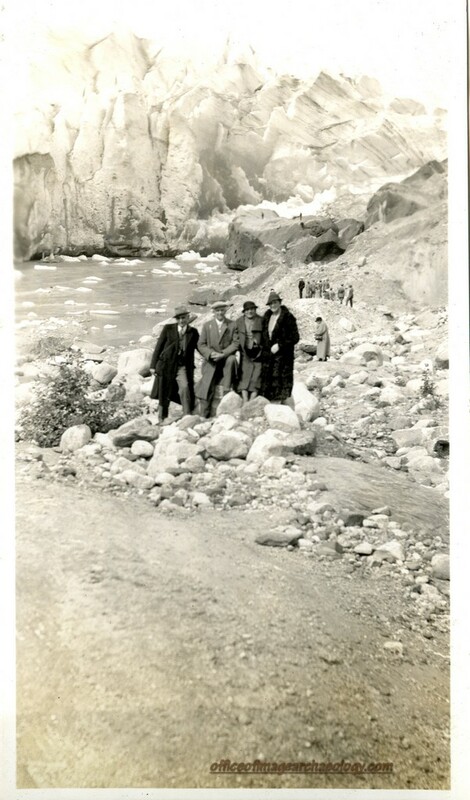 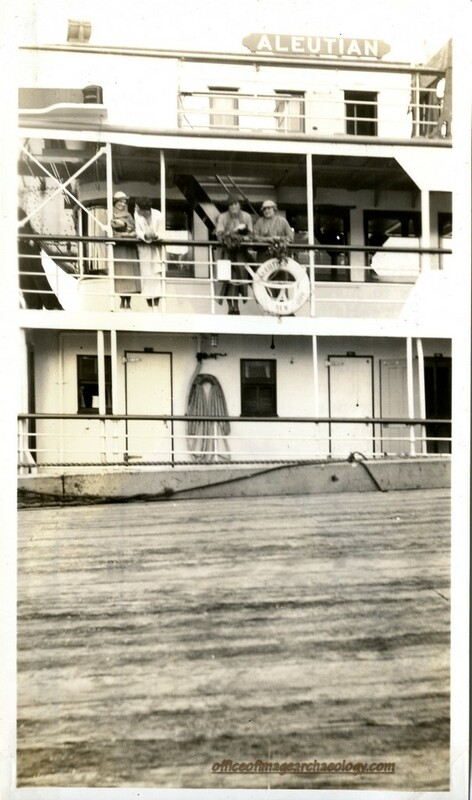 THIS PHOTO ALBUM WAS CREATED BY A PRETTY YOUNG LADY NAMED JACQUELYN MIESSE TO RECORD HER JOURNEY TO ALASKA ON THE 41ST NORTH BOUND VOYAGE OF THE ALASKA STEAMSHIP COMPANY'S S.S. ALEUTIAN. 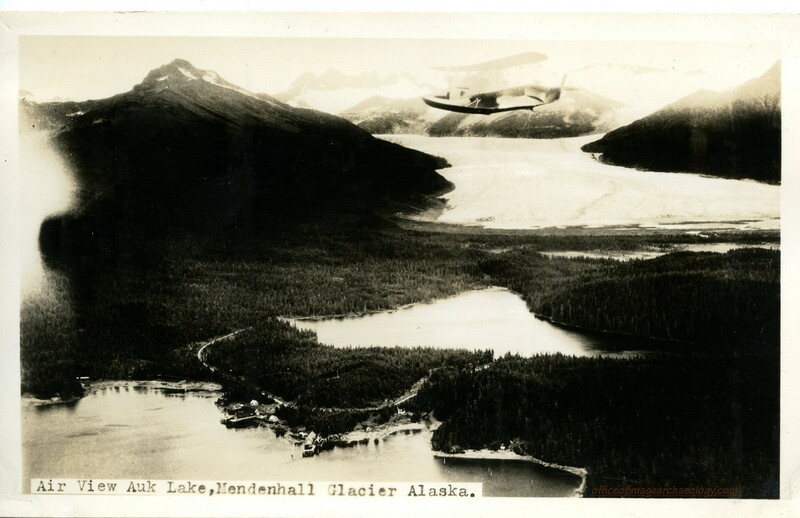 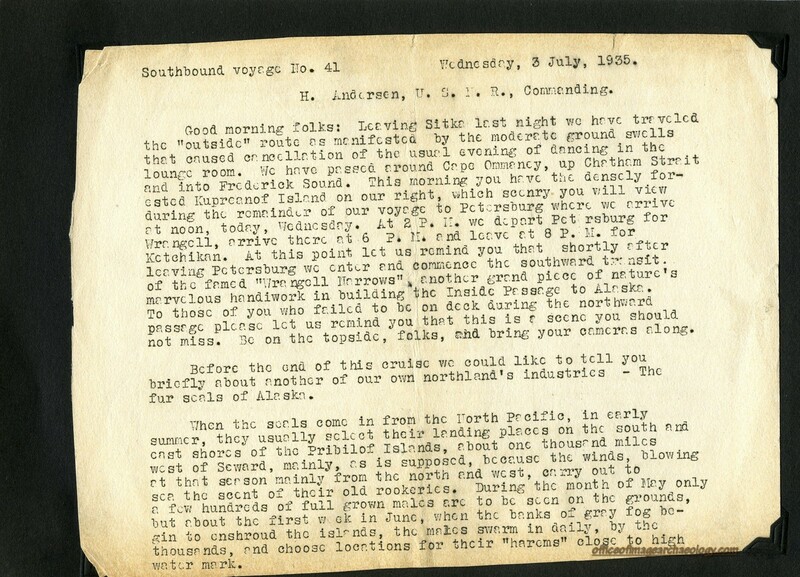 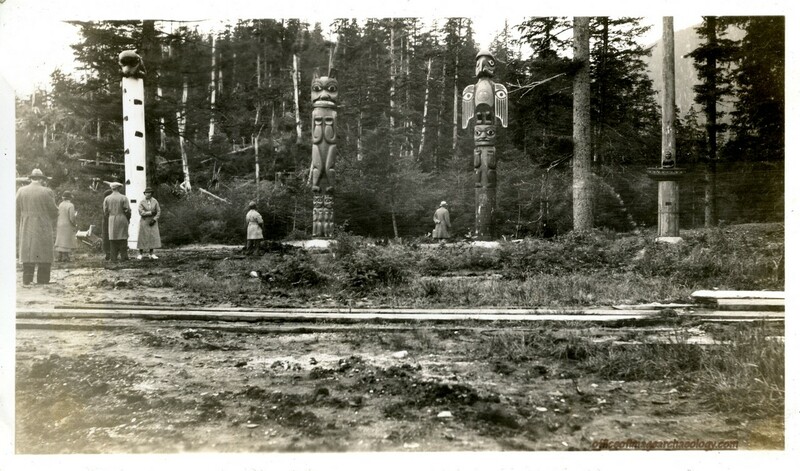 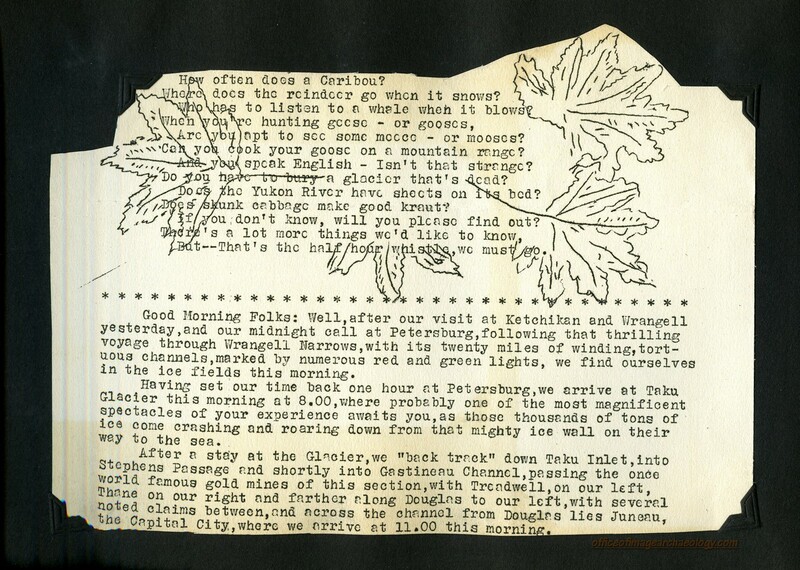 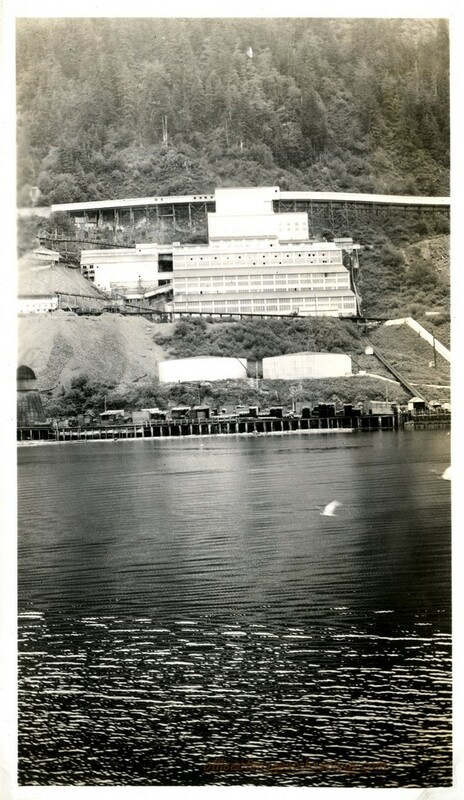 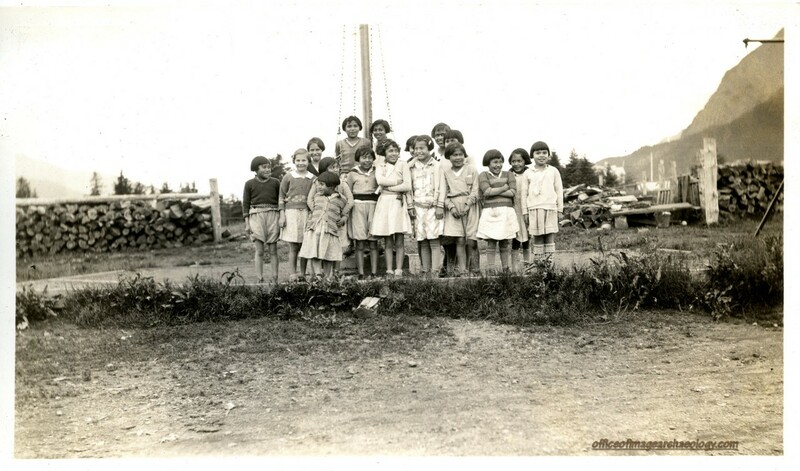 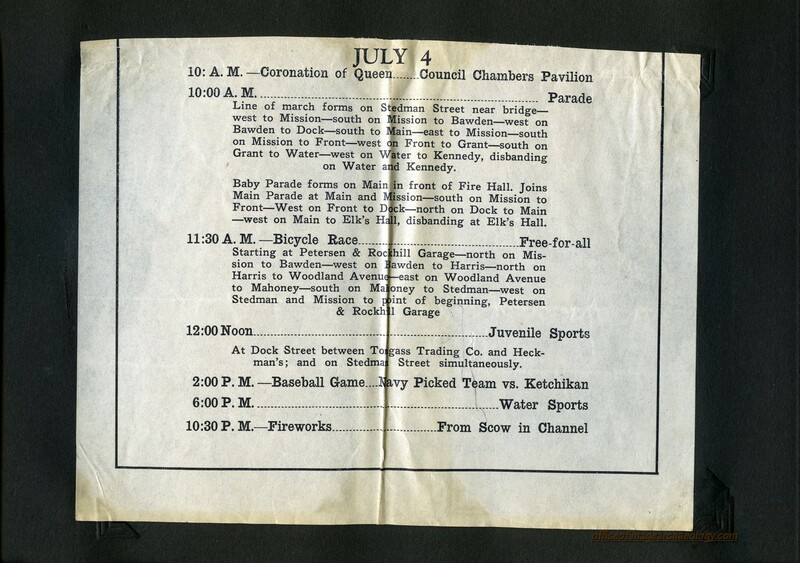 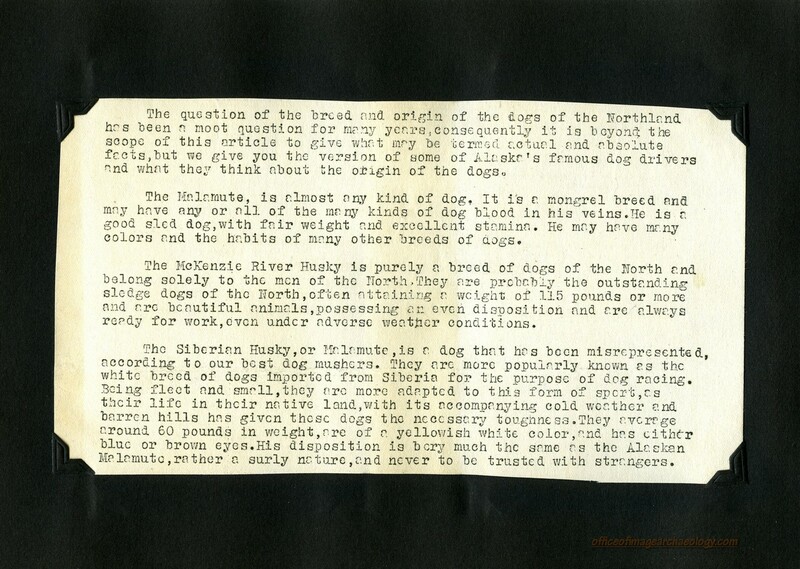 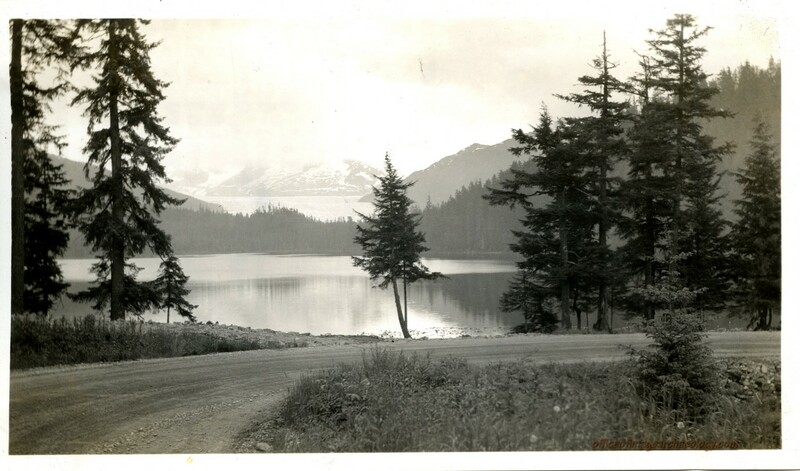 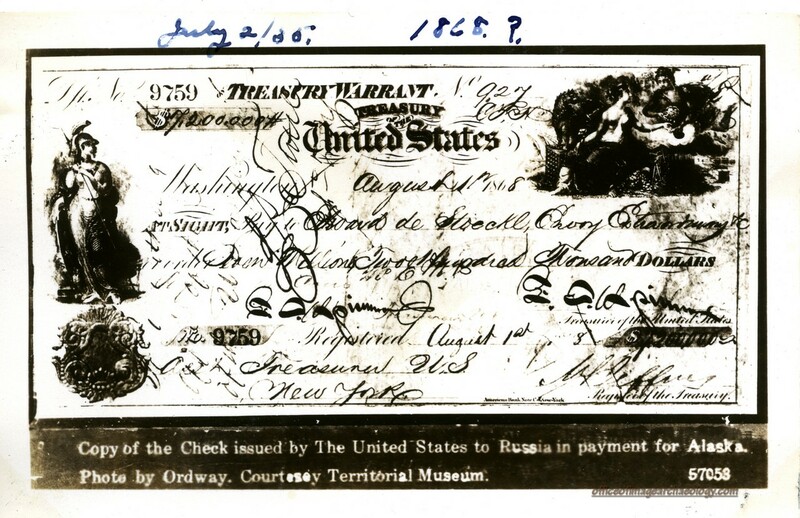 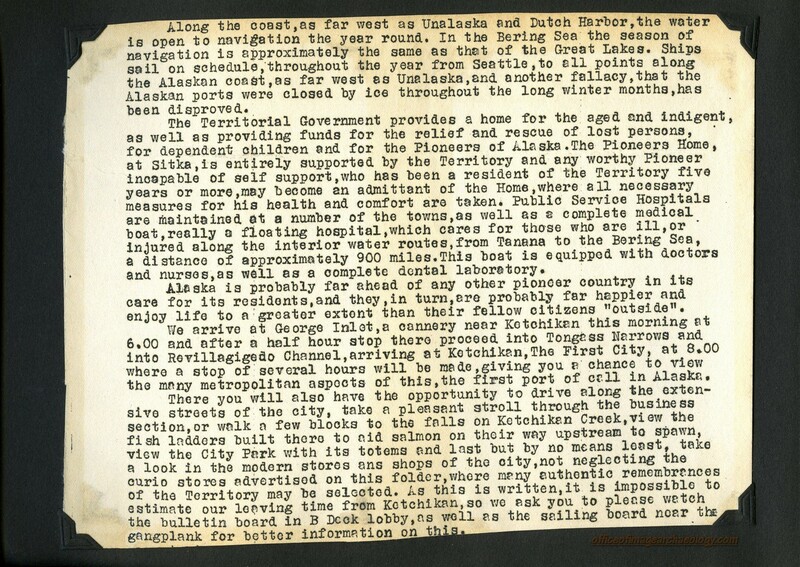 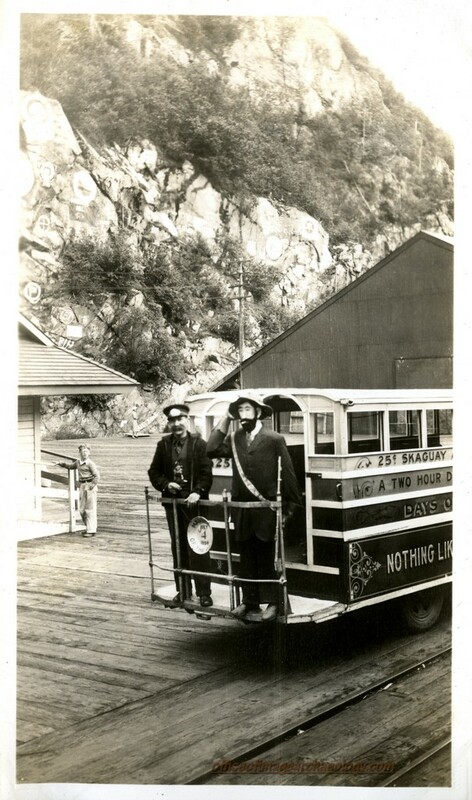 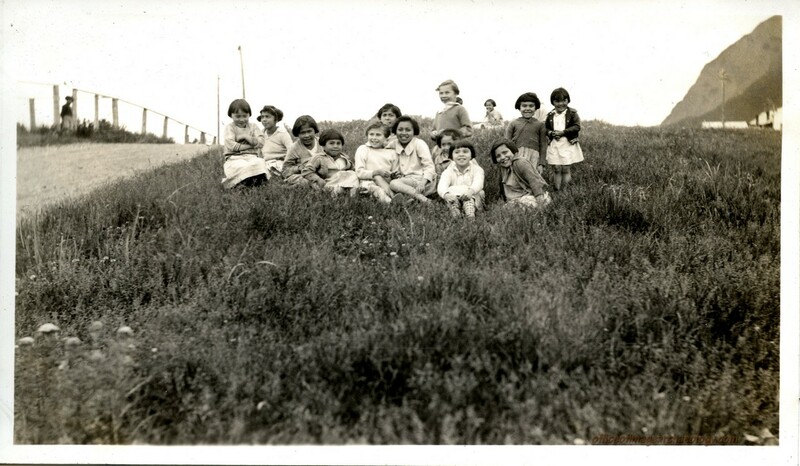 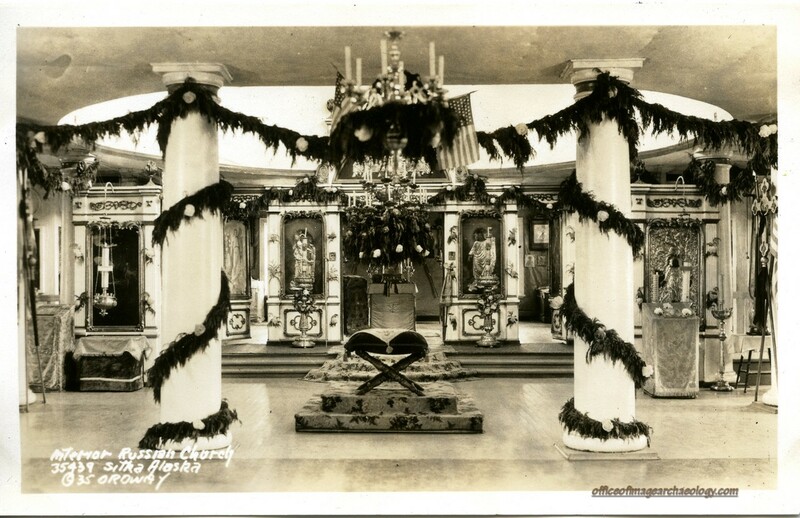 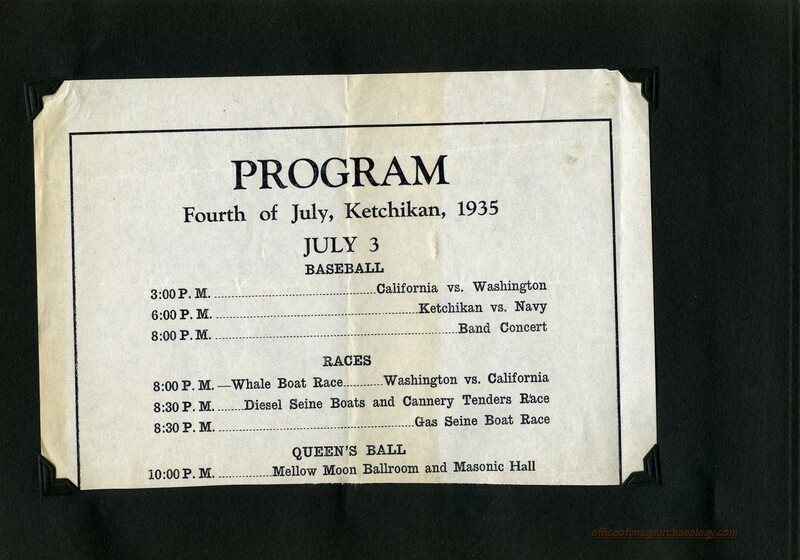 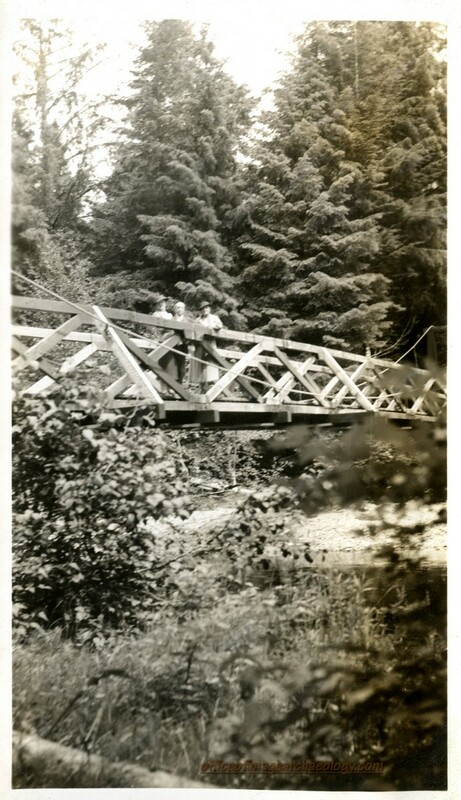 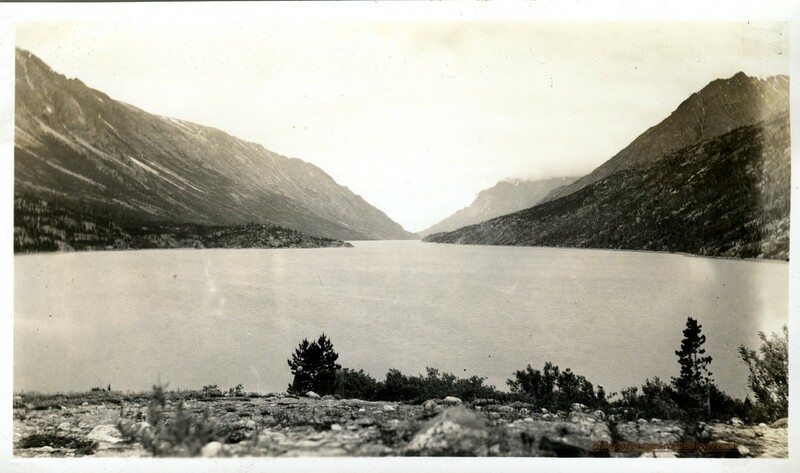 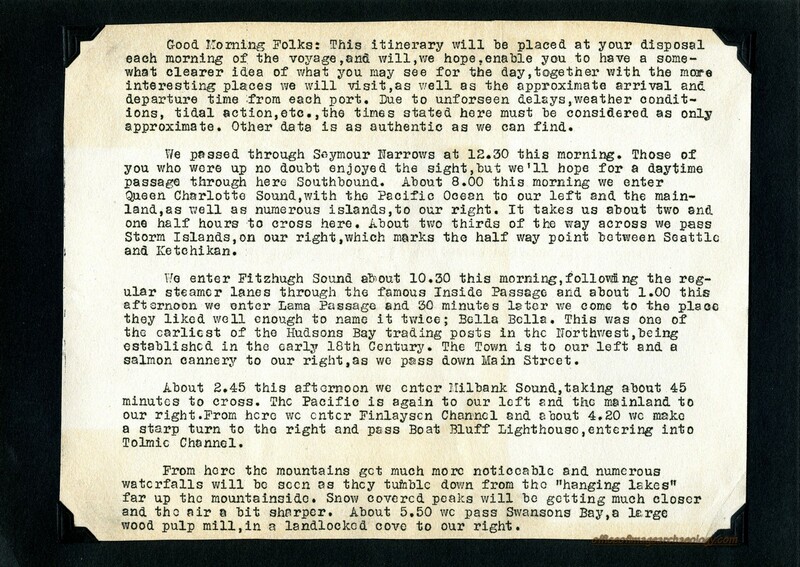 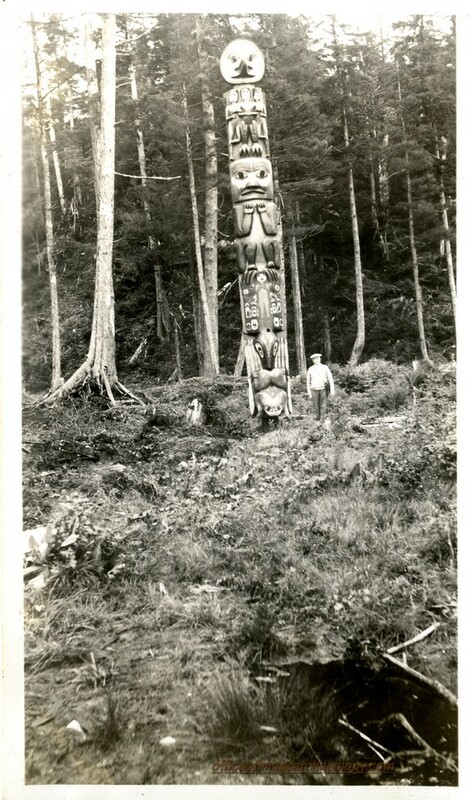 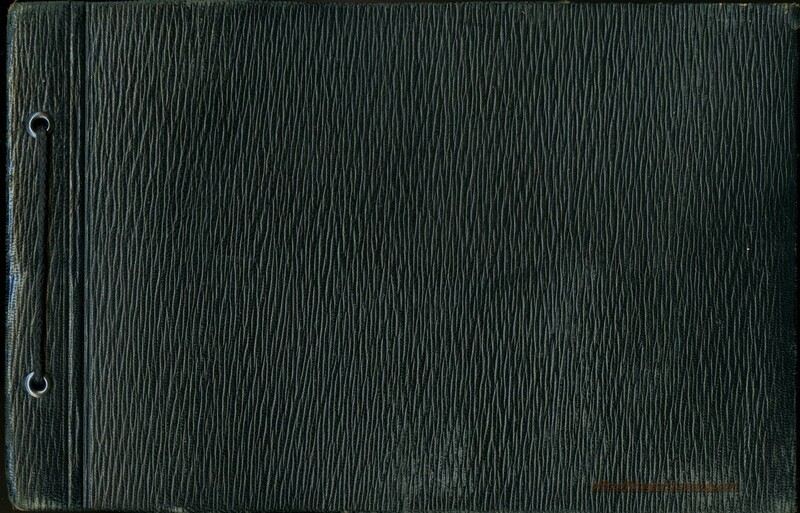 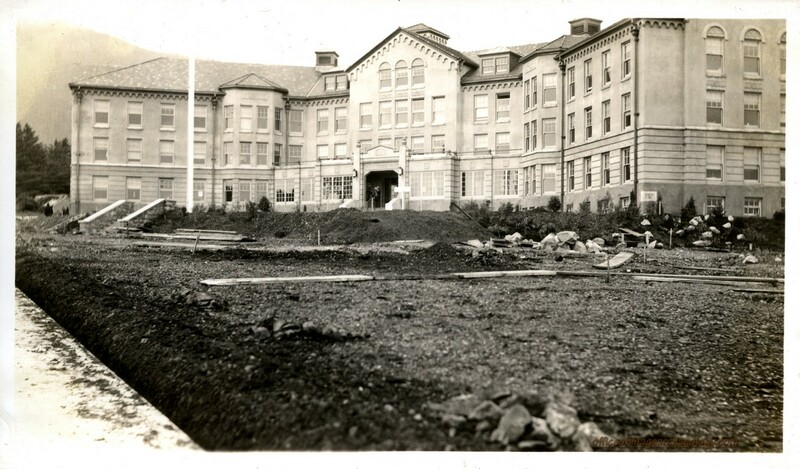 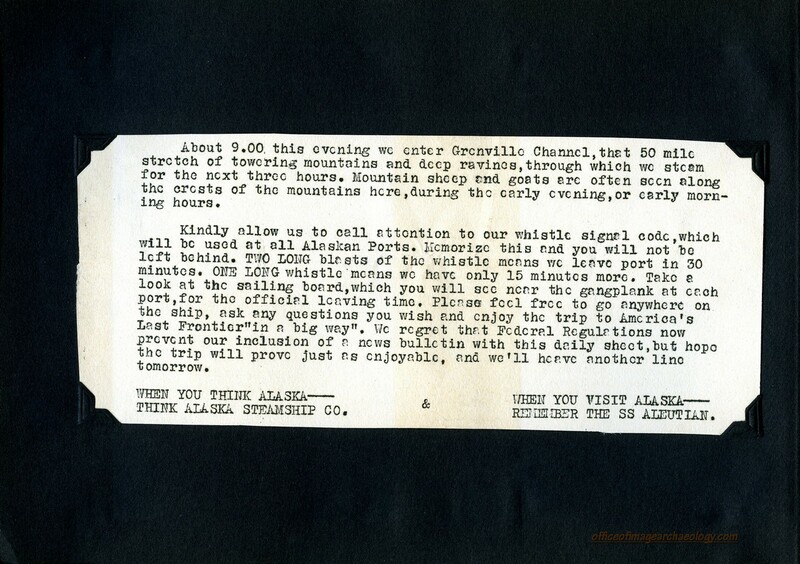 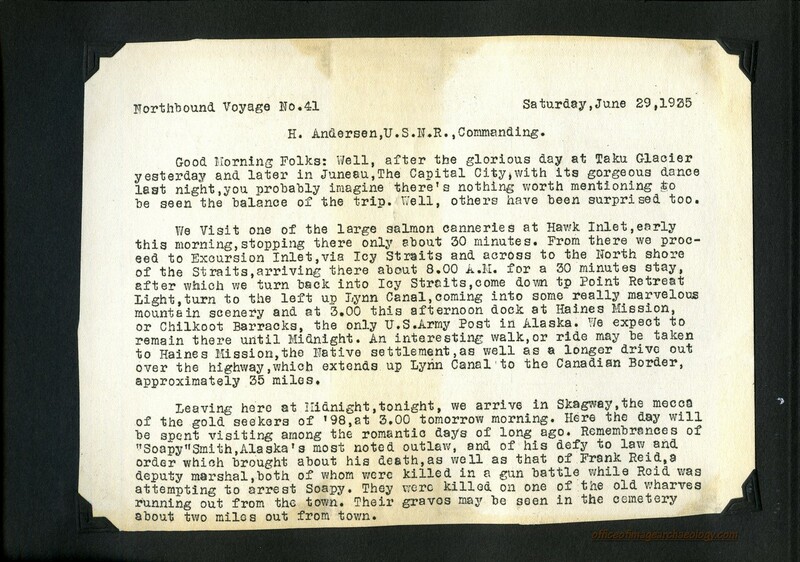 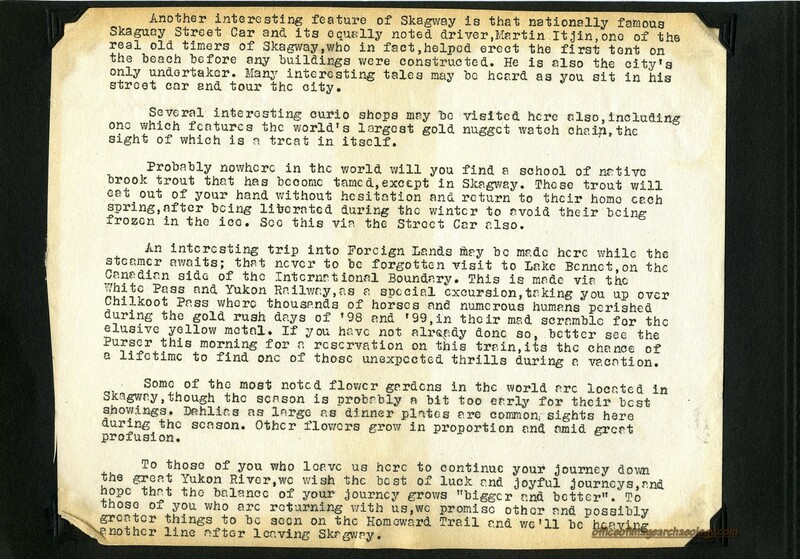 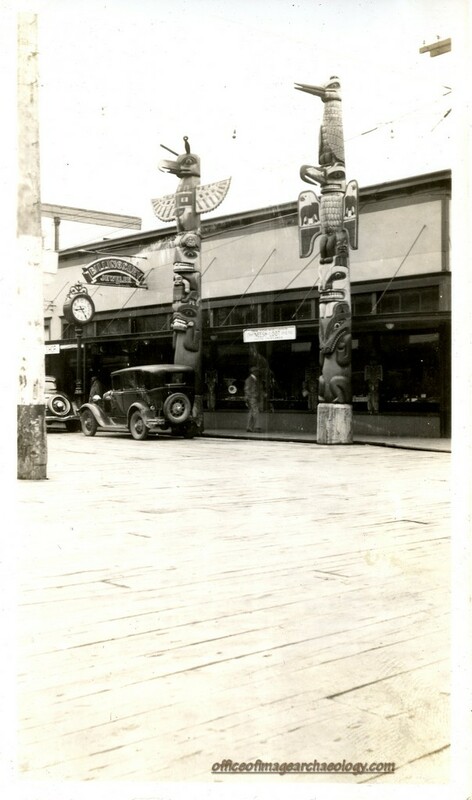 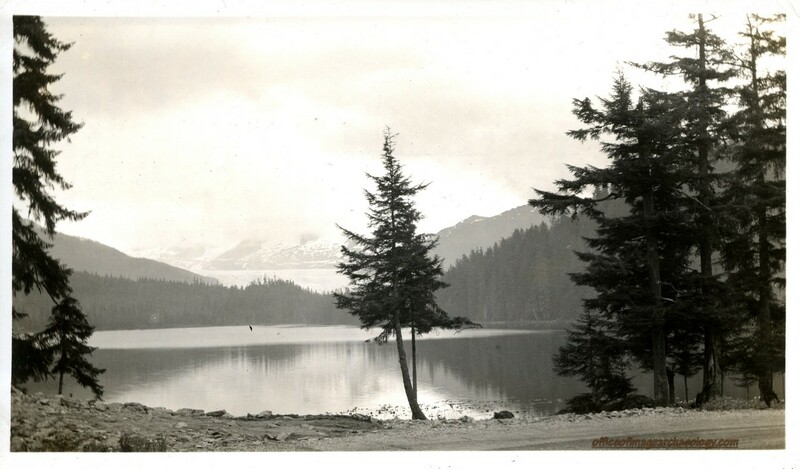 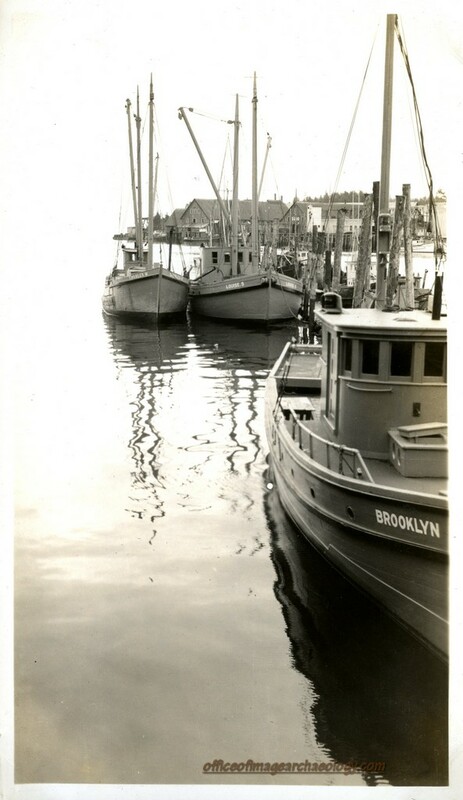 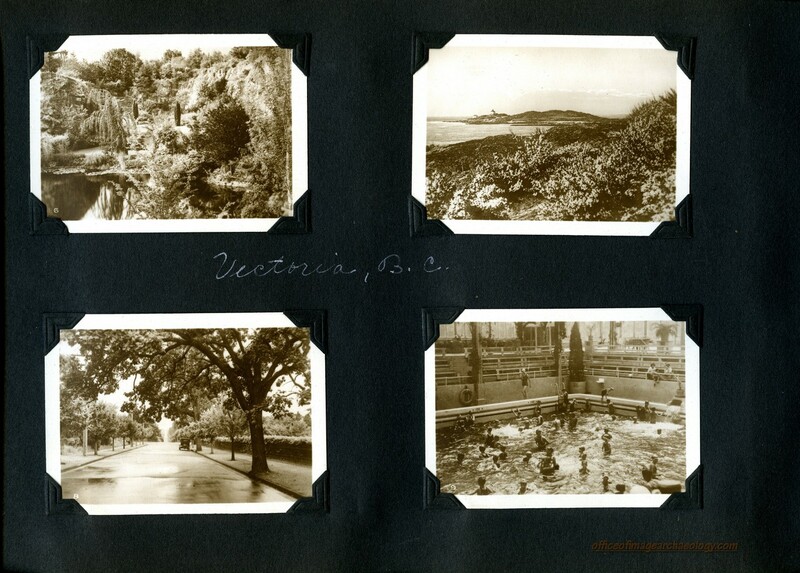 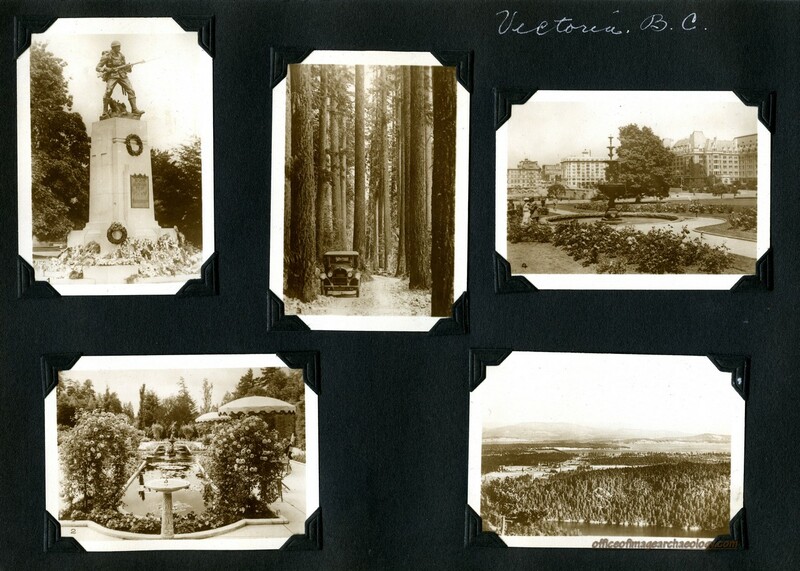 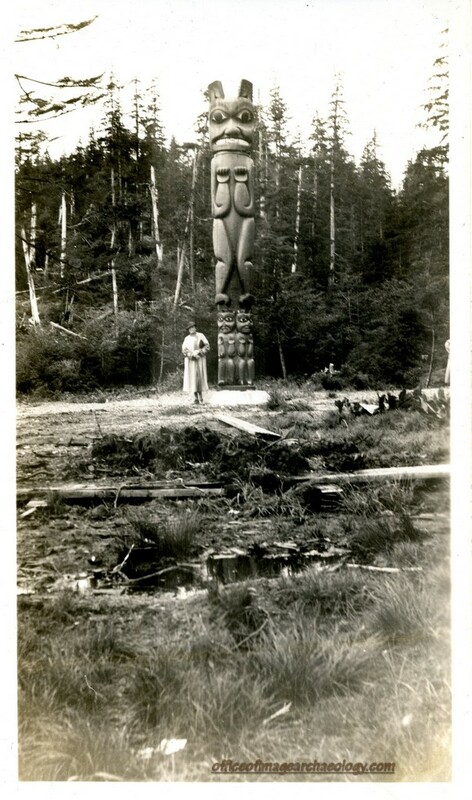 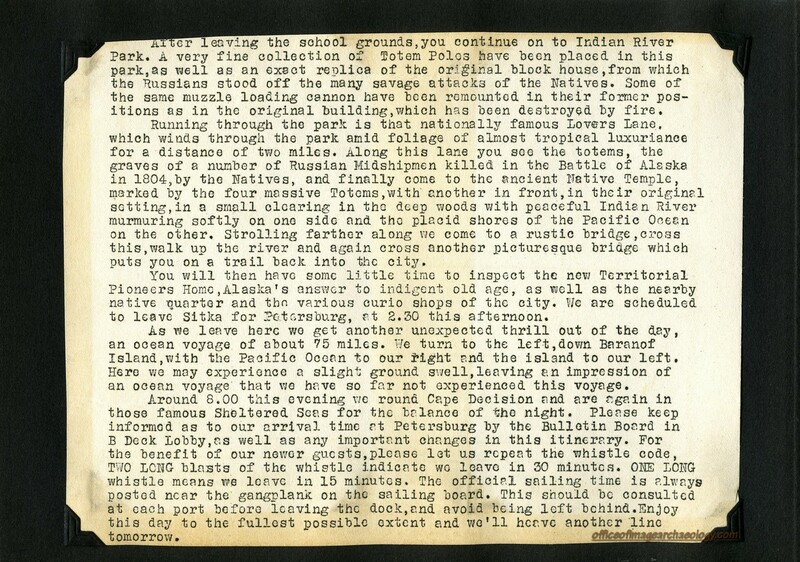 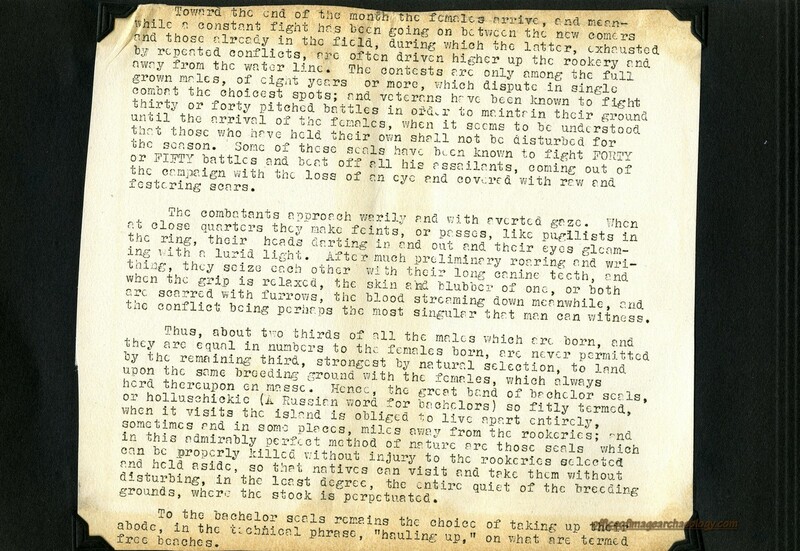 THE TRIP BEGINS ON JUNE 26 1935 AND ENDING ON SOMETIME AFTER JULY 5 1935. 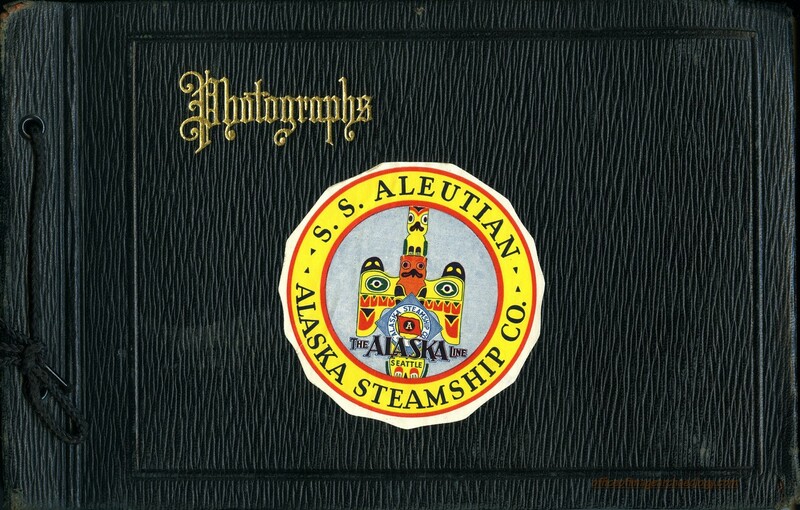 MANY PHOTOGRAPHS, POST CARDS AND THE SHIPS NEWS PAPER AND ITINERARY MAKE THIS ALBUM A JOURNEY THAT IS EASILY FOLLOWED AND ENJOYED. 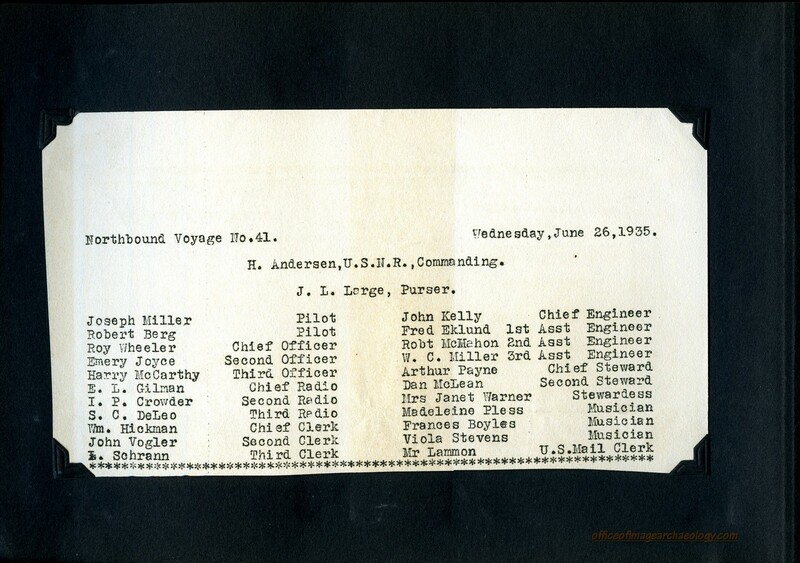 THE COMMANDING OFFICER WAS H. ANDERSON, U.S.N.R. 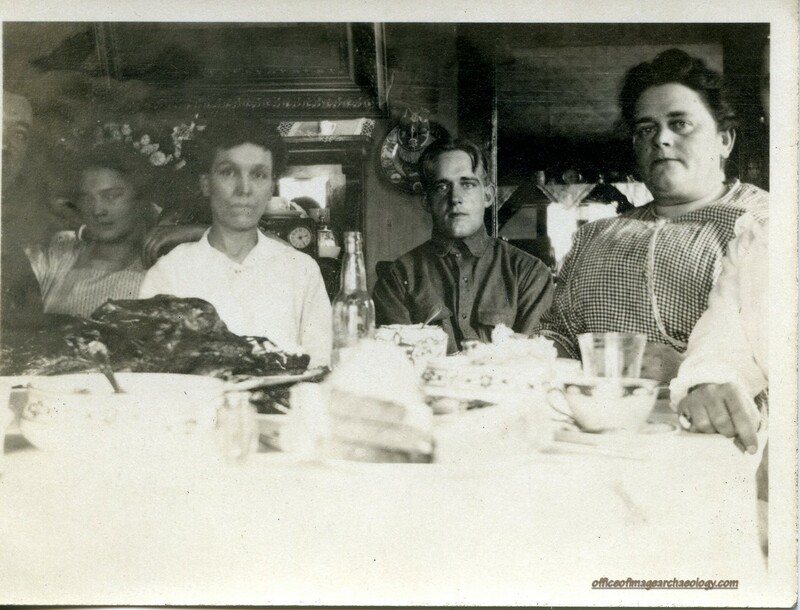 AND J. L. LARGE WAS ACTING PURSER. 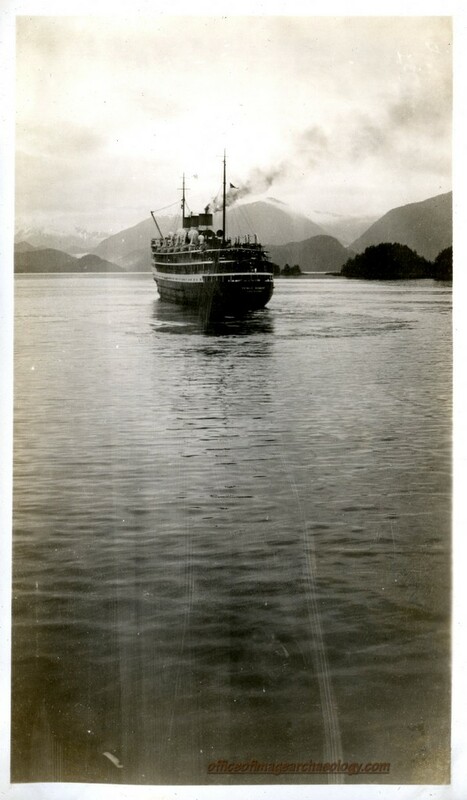 PLACES THAT ARE VISITED ARE SITKA, TAKU GLACIER, MENDENHALL GLACIER, JUNEAU, KETCHIKAN, WRANGELL, HAINES, PETERSBURG, CHILKOOT BARRACKS IN HAINES AND ON THE WAY BACK BRITISH COLUMBIA.